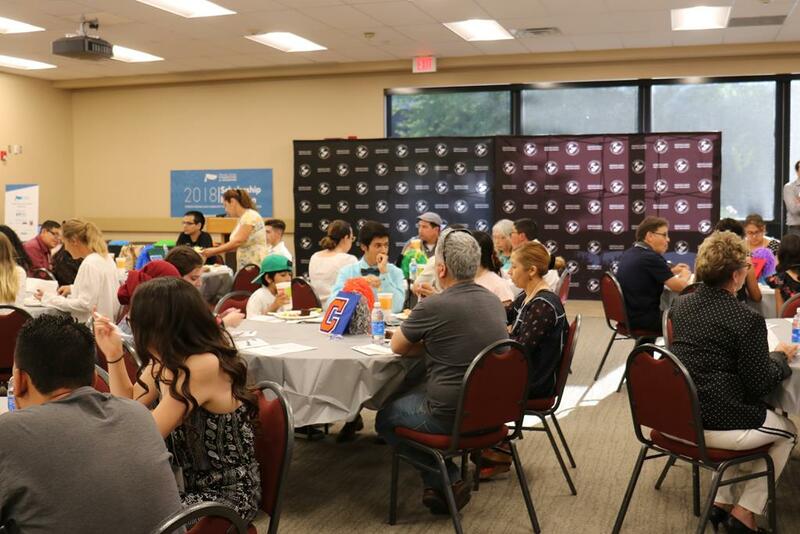 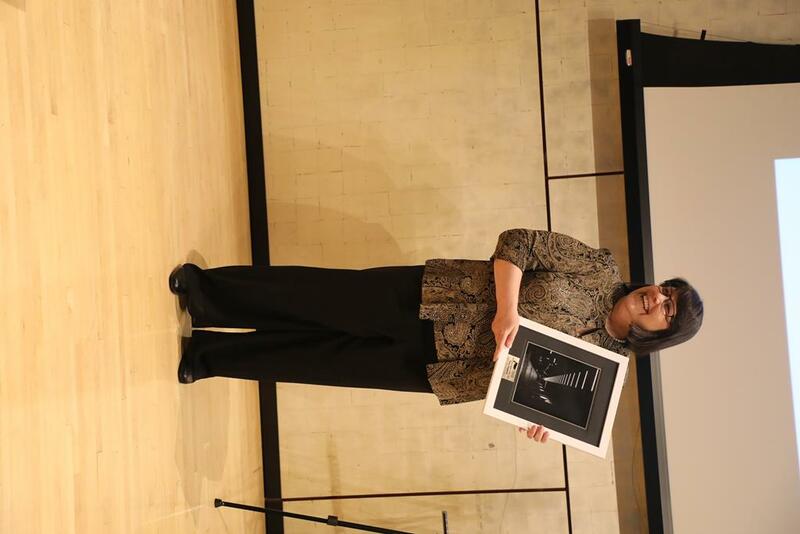 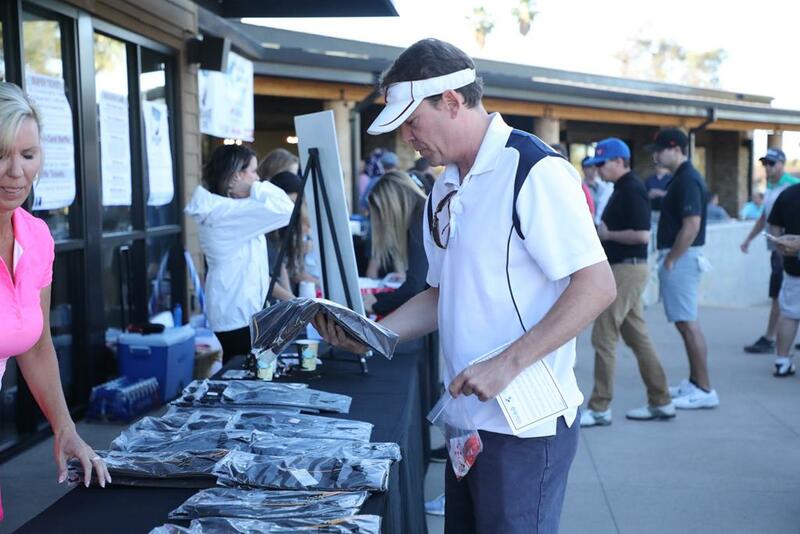 Click here for MORE pictures from this incredible event! 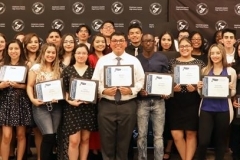 We congratulate all of these students on their great accomplishments and the positive impact they will make in their community! 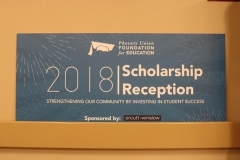 The Scholarship Reception is the Foundation’s way of congratulating scholarship recipients, as well as thanking sponsors and donors for supporting the Foundation and its mission. Held annually in May, it is also a way for scholars, sponsors, donors and Board members to mingle and visit with one another. 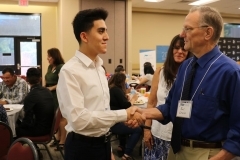 Sponsors and donors see firsthand where their time and money goes – into the capable hands of deserving graduates about to embark on their big adventure. 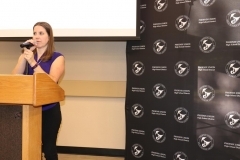 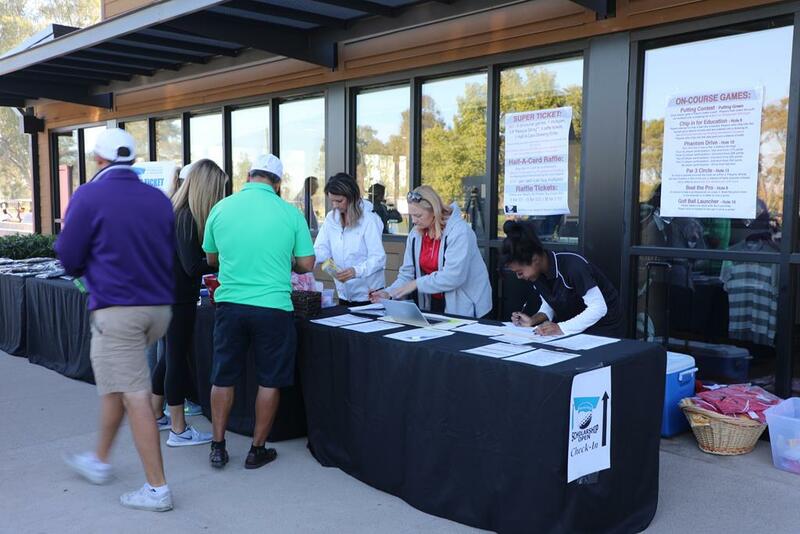 The Foundation is pleased to hold this event each year to both recognize our scholarship recipients and thank those who have given through donations and sponsorships. 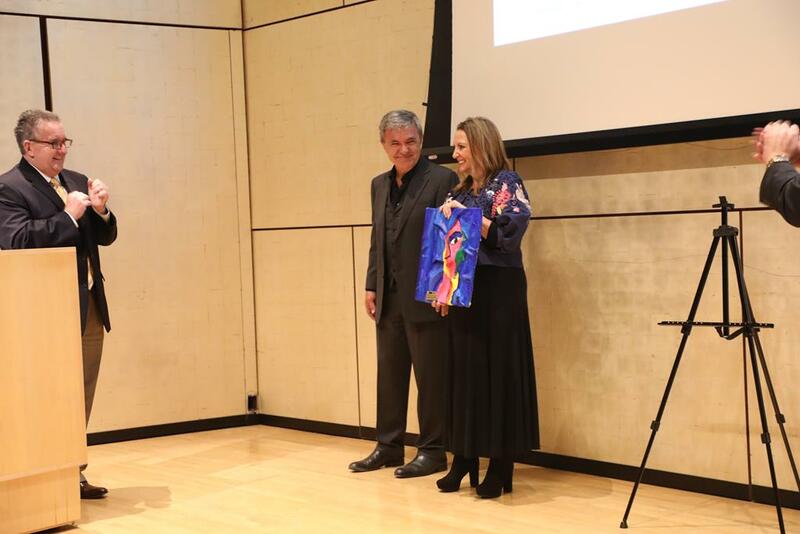 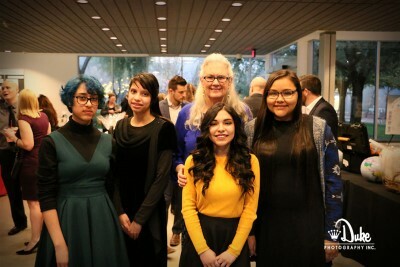 The 2018 Art of Education Scholarship Dinner for the Foundation was a terrific success! 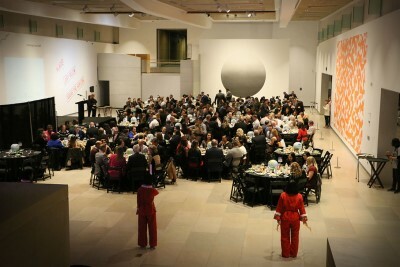 We raised over $46,000 that night alone at the silent and live auctions. 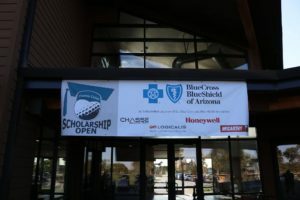 With 320 people attending, there was a terrific buzz in the room about the amazing student scholars we are able to help. 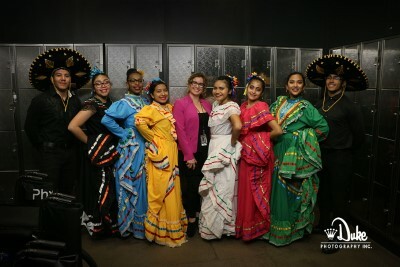 We had LOTS of student entertainment, including live artists, musicians and a terrific Fashion Show! 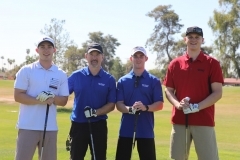 Here is a link to more information about the Foundation and the event. 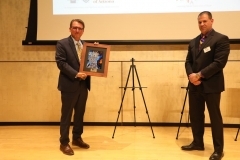 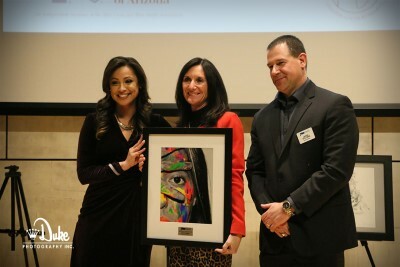 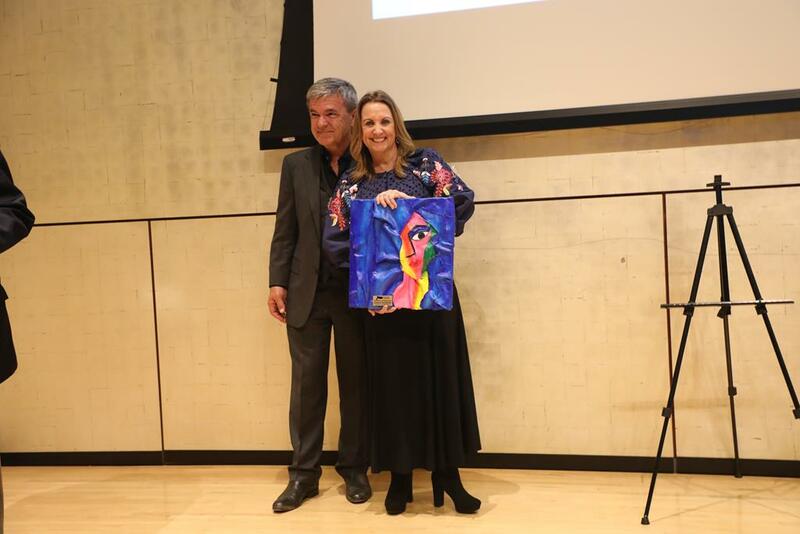 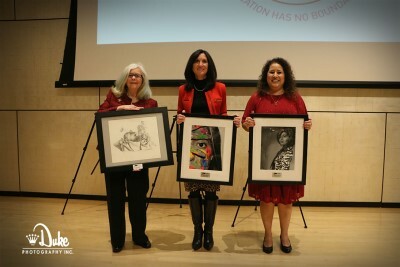 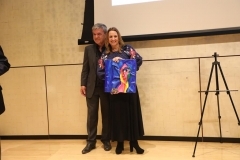 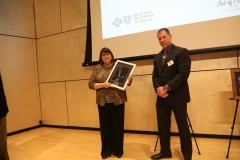 Art of Education Event from Pic Me! Photobooth on Vimeo. Check Out Our Facebook Page for Pictures from this event! 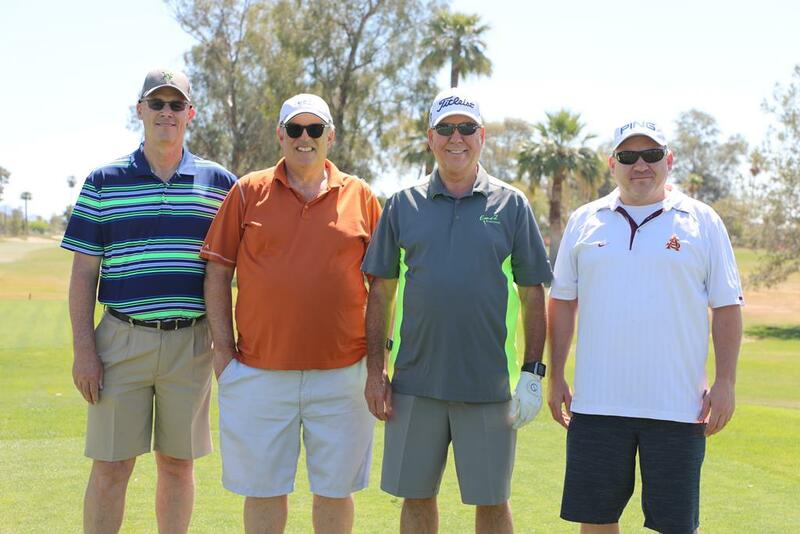 Thanks for making 2017 a great year! 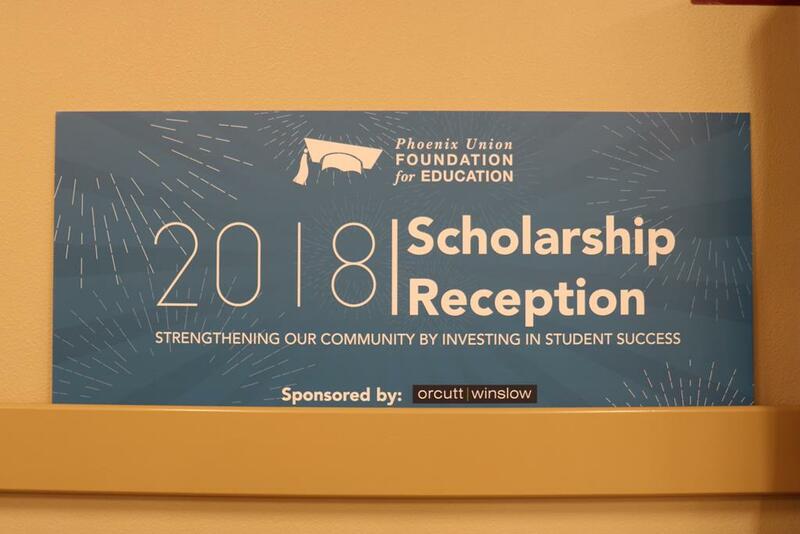 The Scholarship Reception is the Foundation’s way of congratulating scholarship recipients, as well as thanking sponsors and donors for supporting the Foundation and its mission. 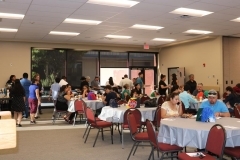 Held every June, it is also a way for scholars, sponsors, donors and Board members to mingle and visit with one another. Sponsors and donors see firsthand where their time and money goes – into the capable hands of deserving graduates about to embark on their big adventure. The Foundation is pleased to hold this event each year to both recognize our scholarship recipients and thank those who have given through donations and sponsorships. 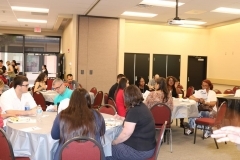 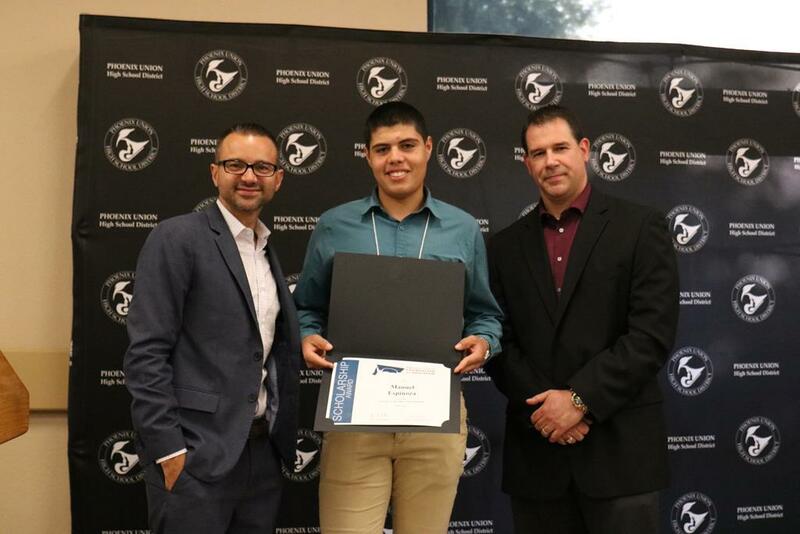 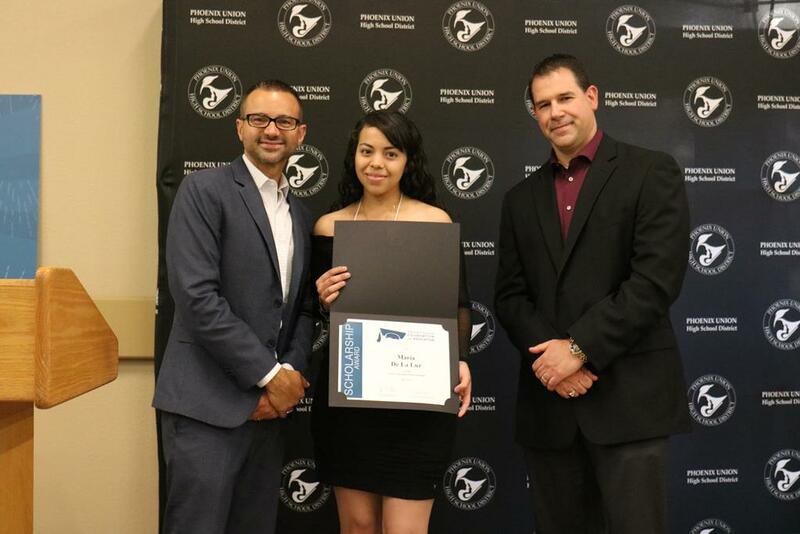 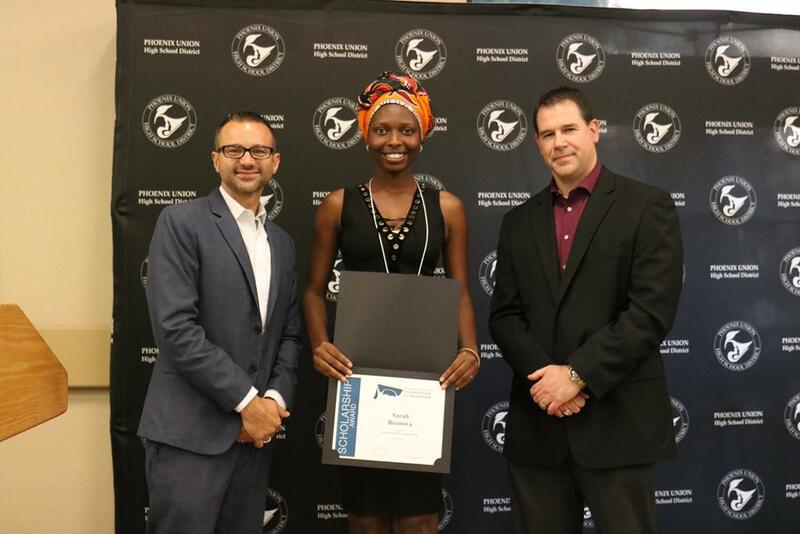 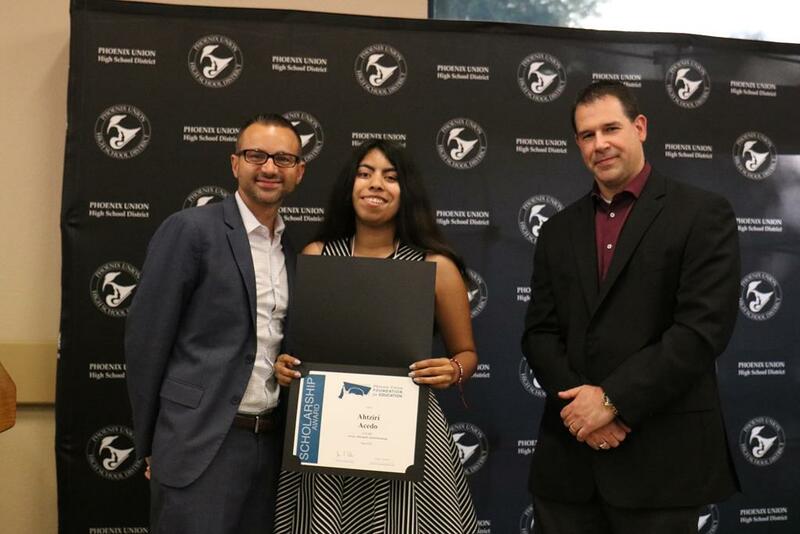 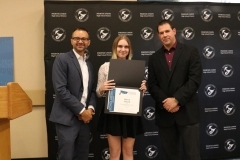 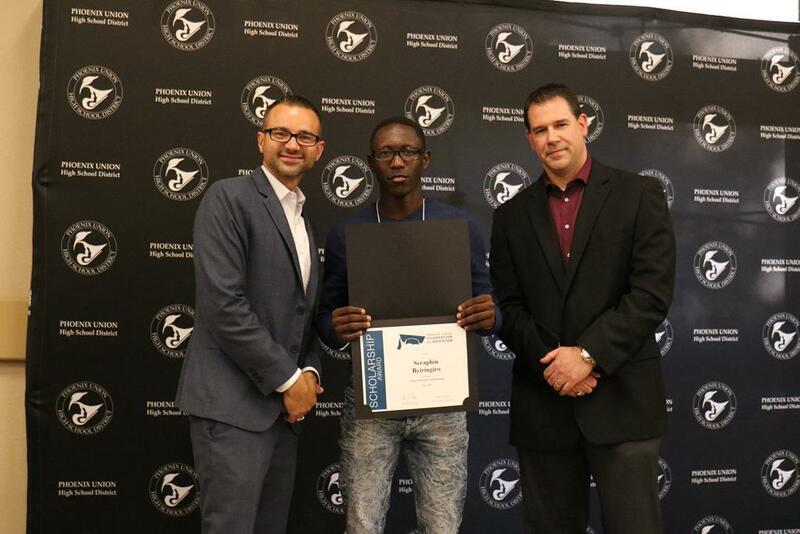 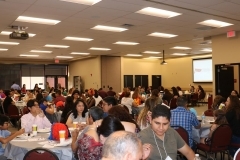 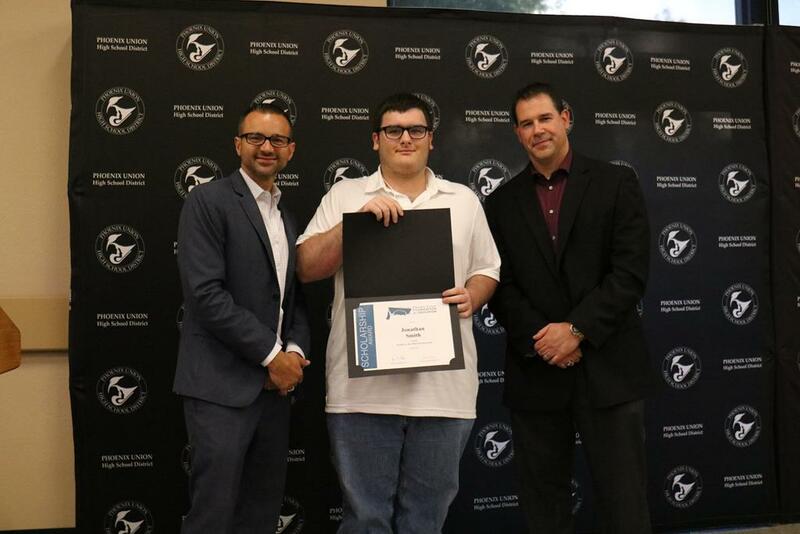 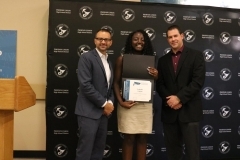 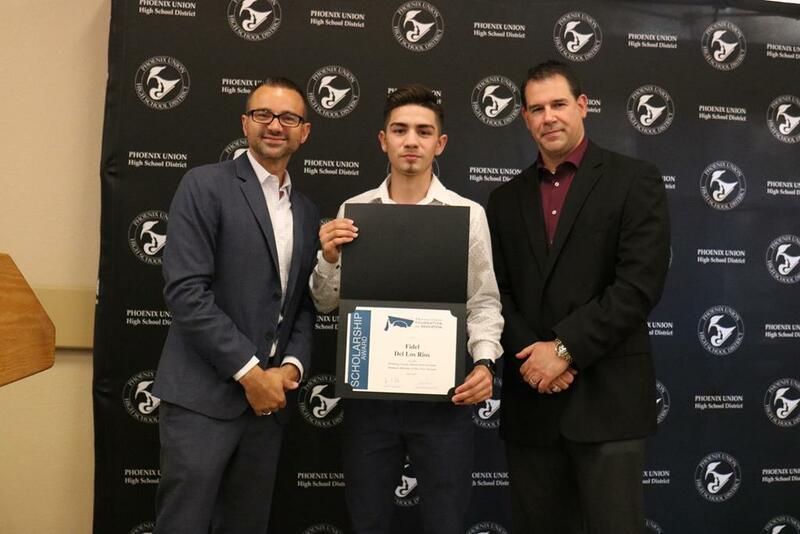 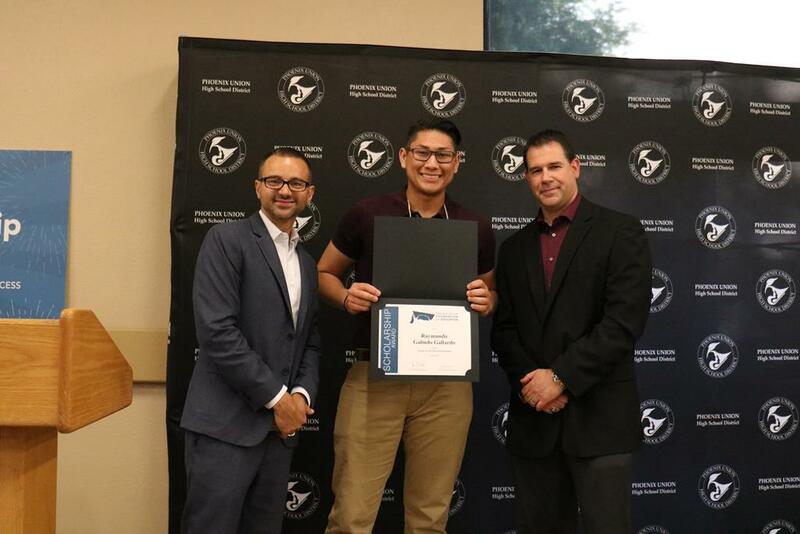 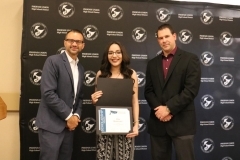 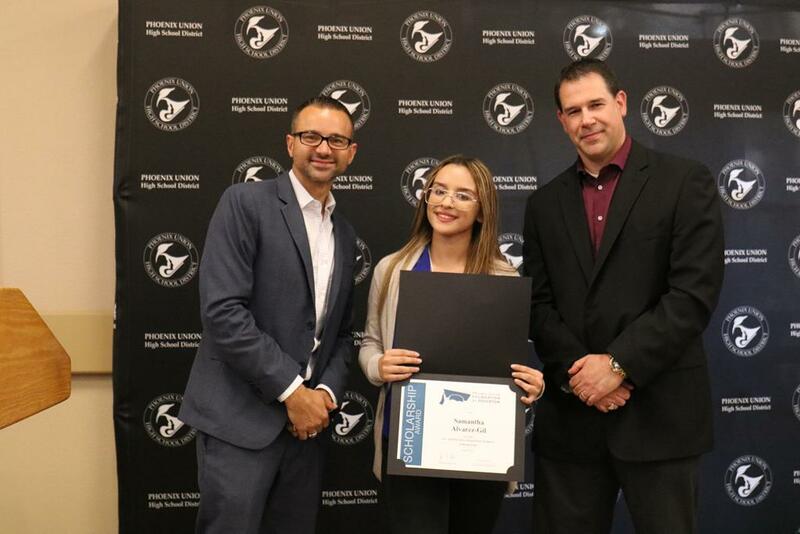 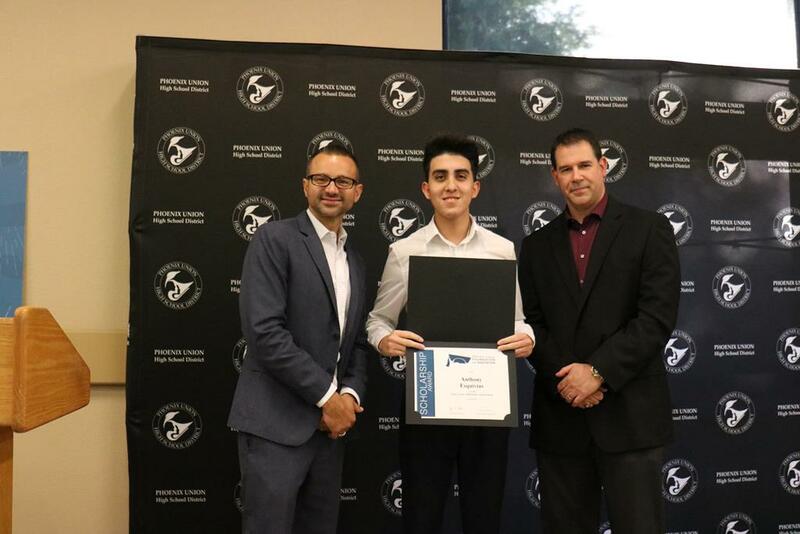 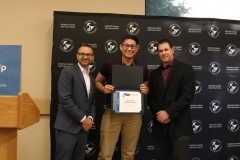 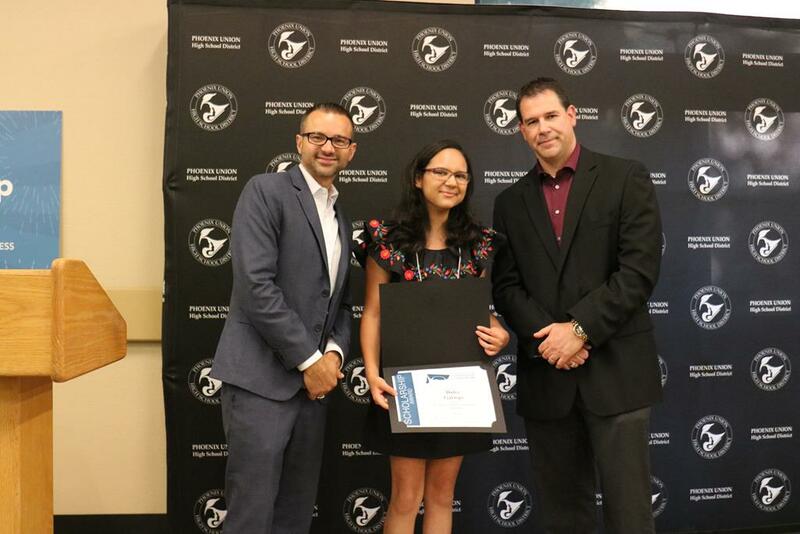 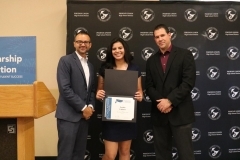 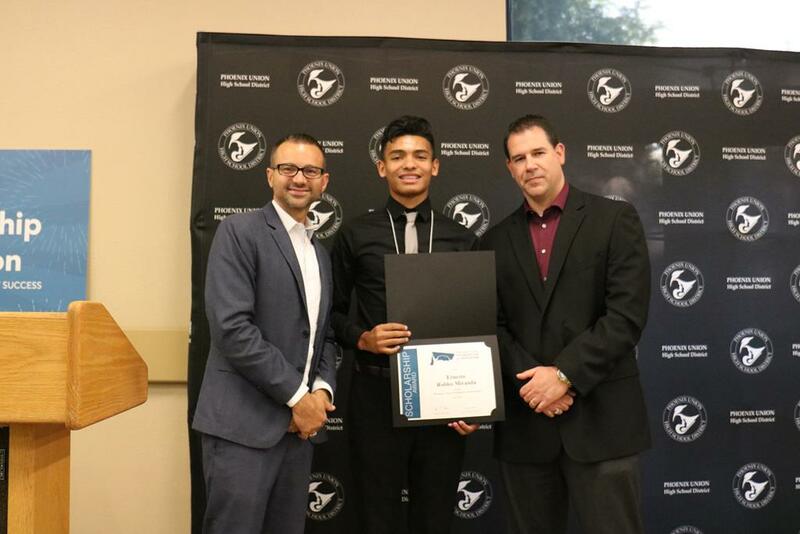 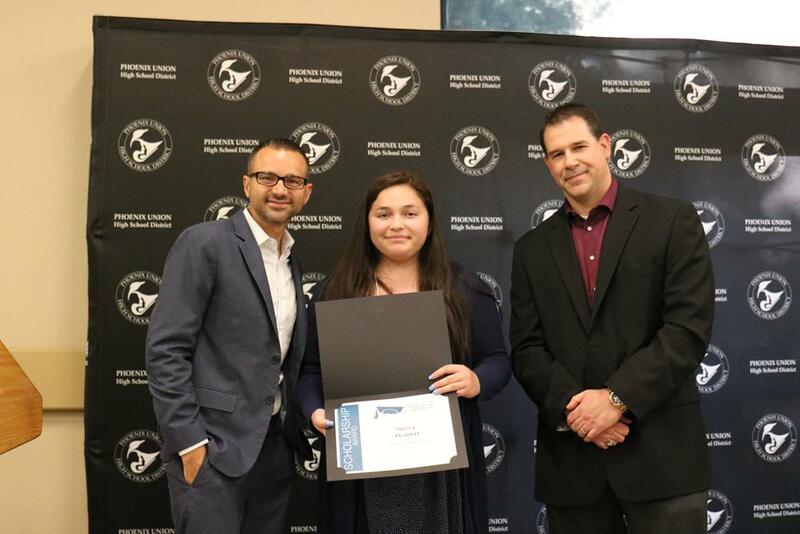 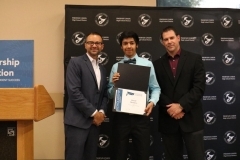 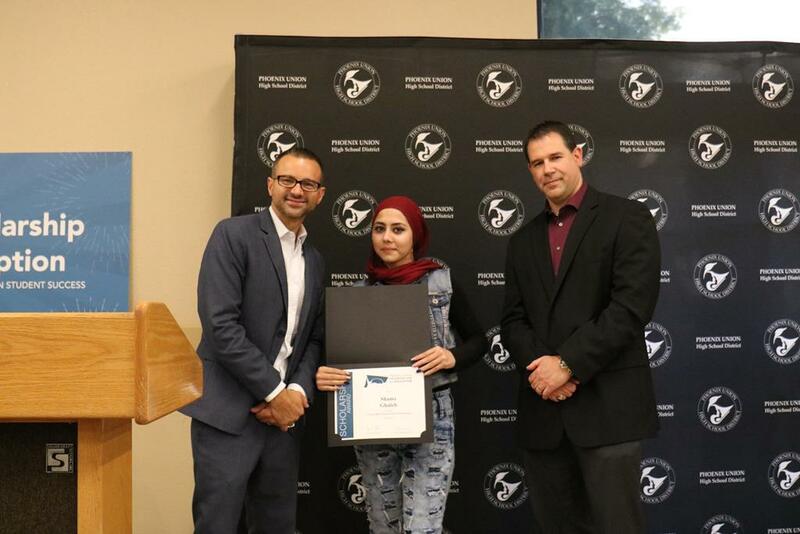 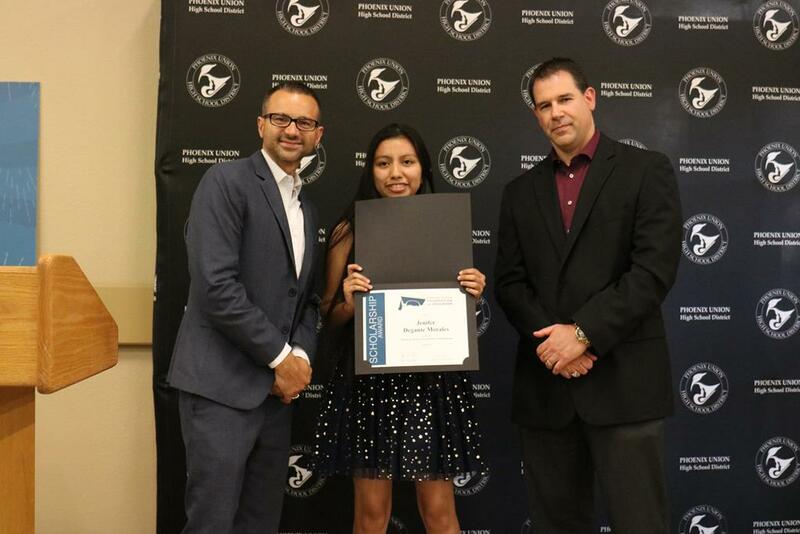 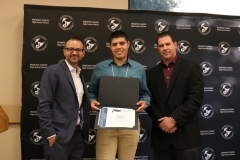 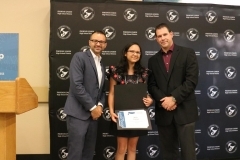 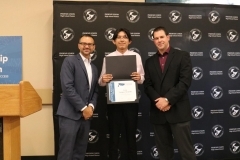 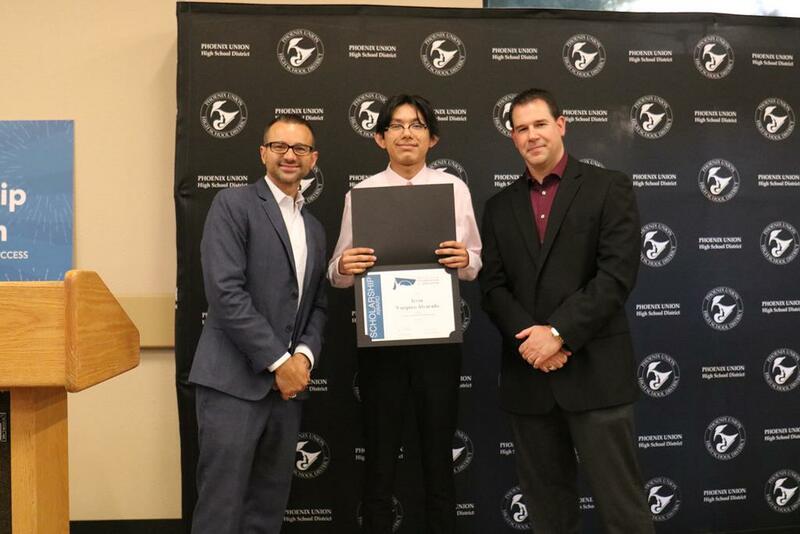 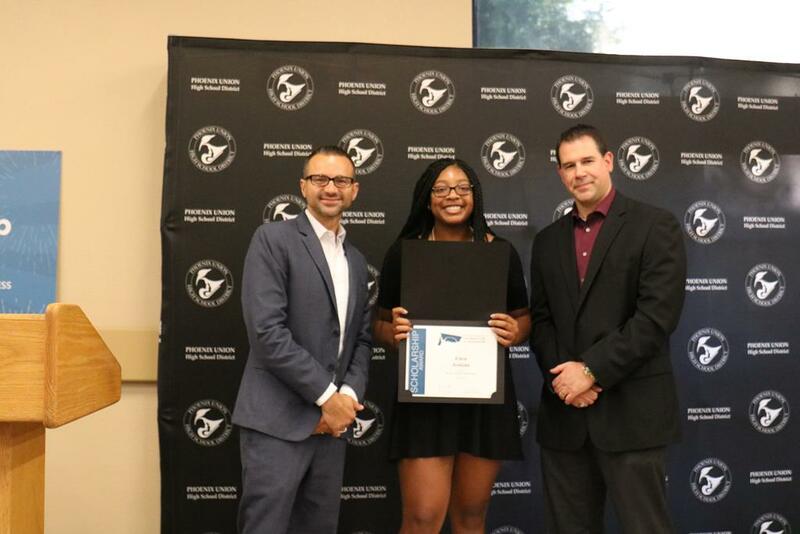 The Phoenix Union Foundation for Education awarded $88,000 in scholarship dollars to 60 Phoenix Union High School District graduates on June 9, 2015, during the Foundation’s annual evening of awards and recognition celebrating the accomplishments of PUHSD high school students and thanking our many Foundation sponsors. 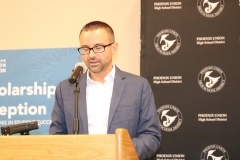 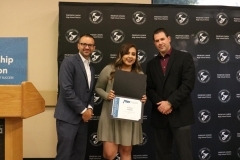 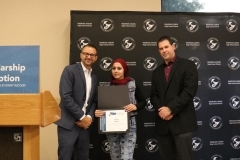 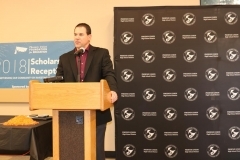 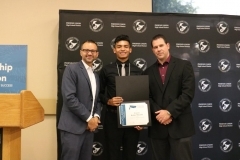 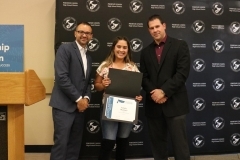 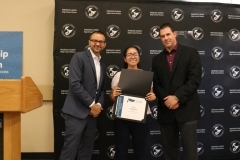 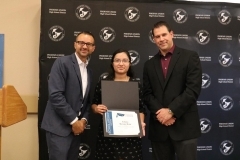 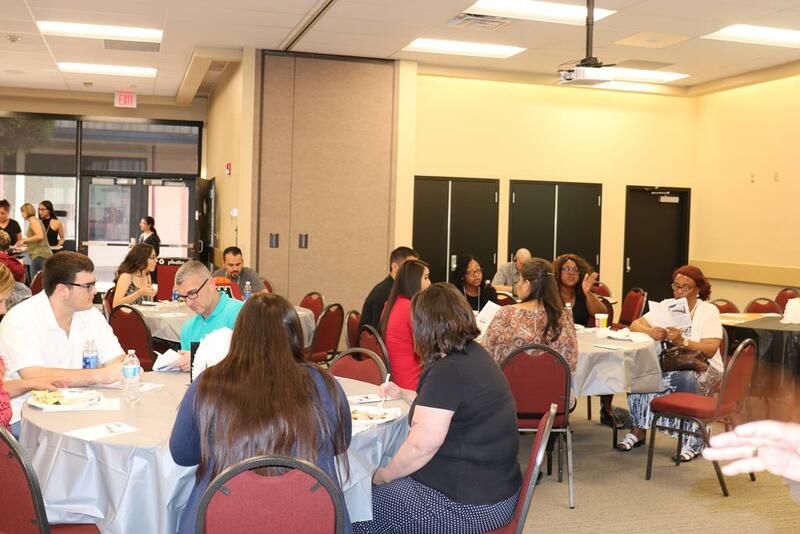 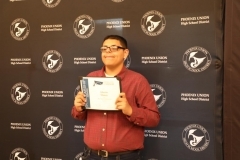 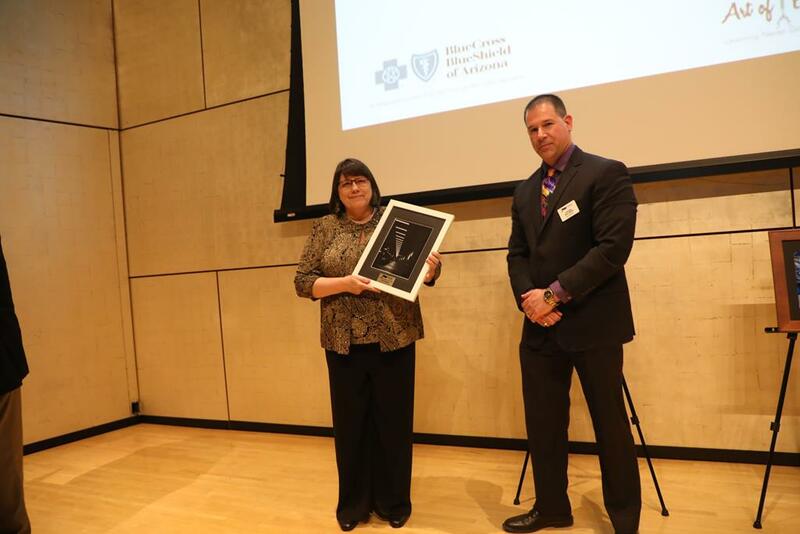 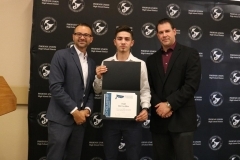 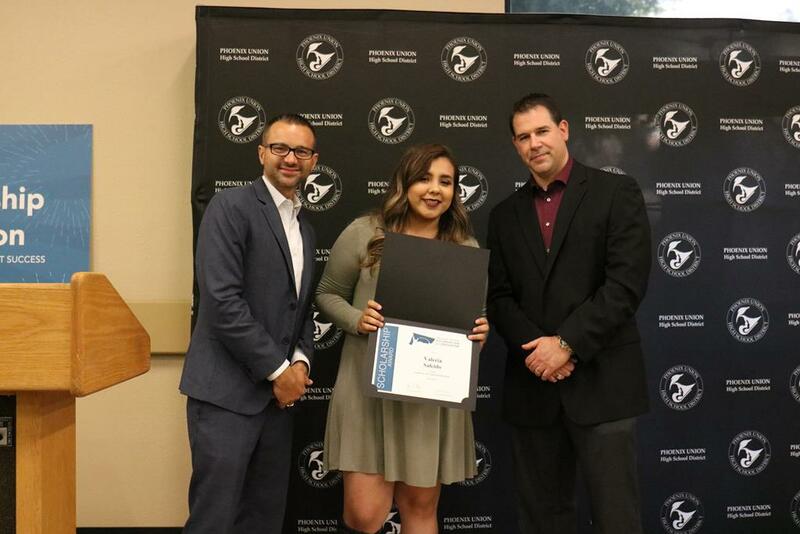 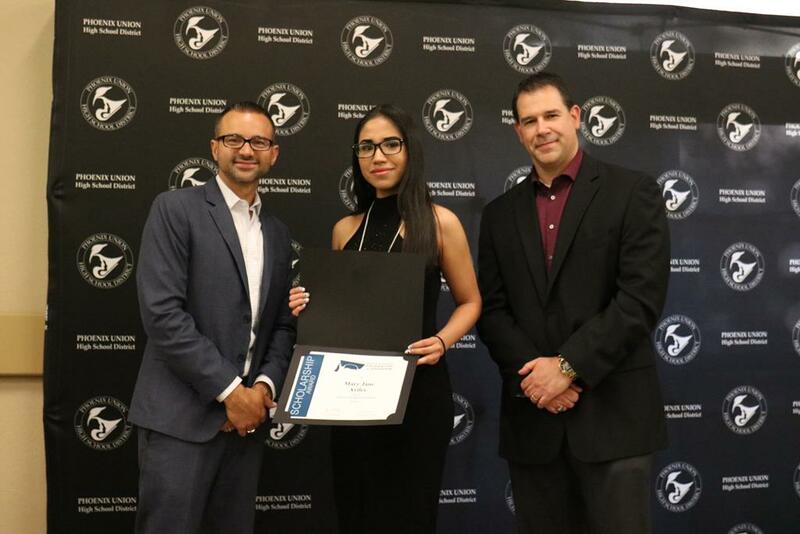 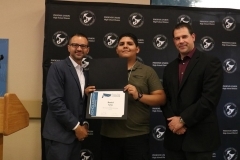 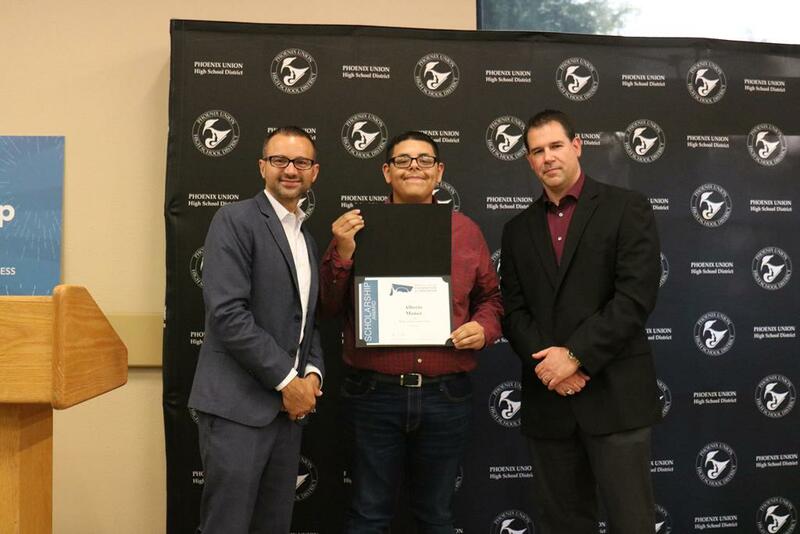 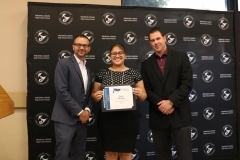 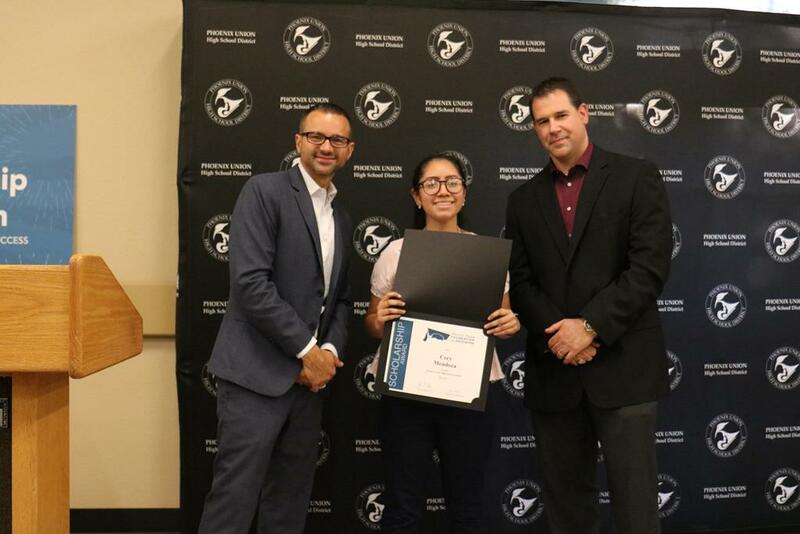 The recognition ceremony, which was held at Metro Tech High School, was generously sponsored by Phoenix Union High School District at no cost to the Foundation. 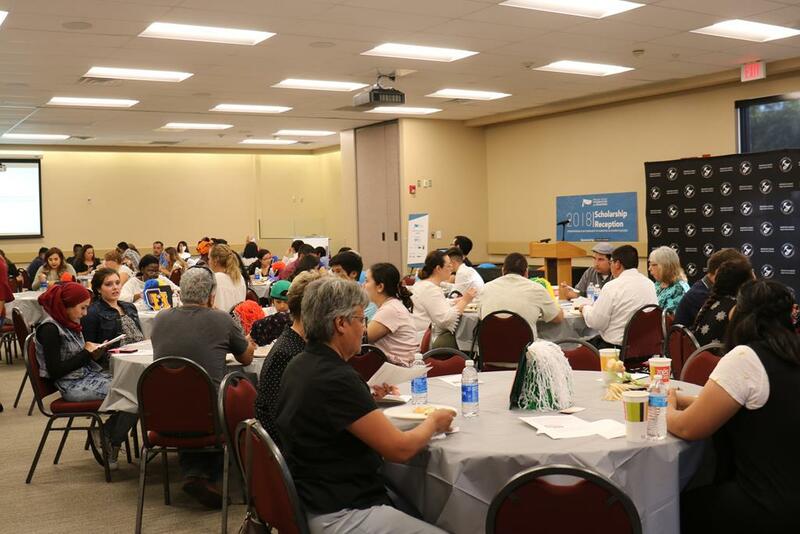 Refreshments were provided and served by the Metro Tech Culinary Department. 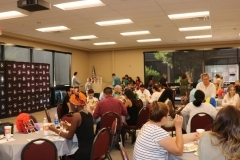 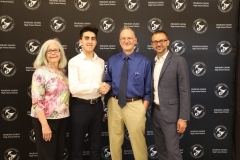 Our scholarship recipients and their families were invited to celebrate each student’s accomplishments and the Foundation thanked its many community donors. 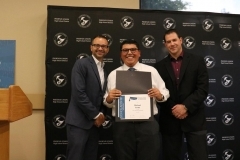 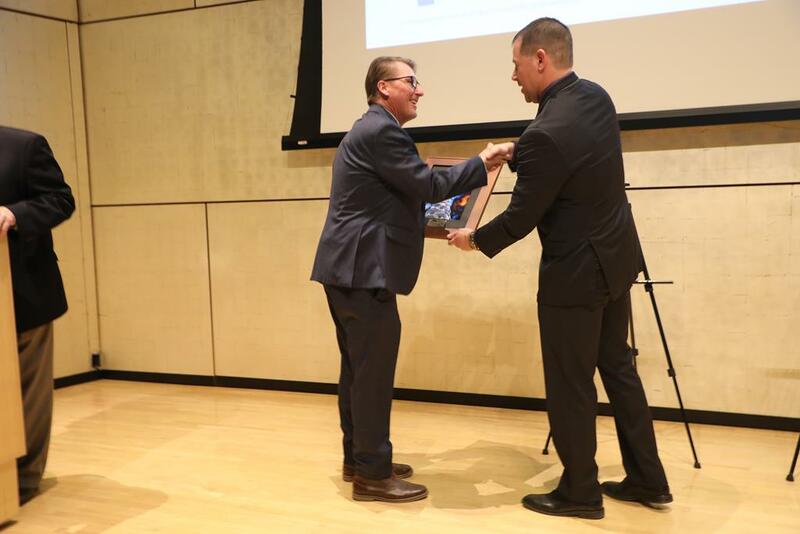 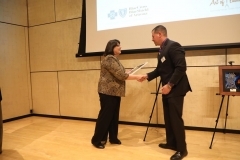 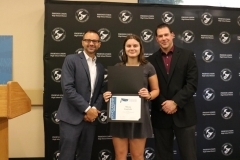 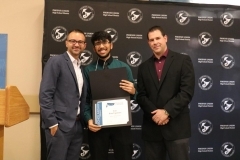 Scholarships ranged from $100 annually to $8,000 over a four-year academic career, distributed from a pool of scholarship resources, from individual and organization donors to employee contributions and fundraising events. 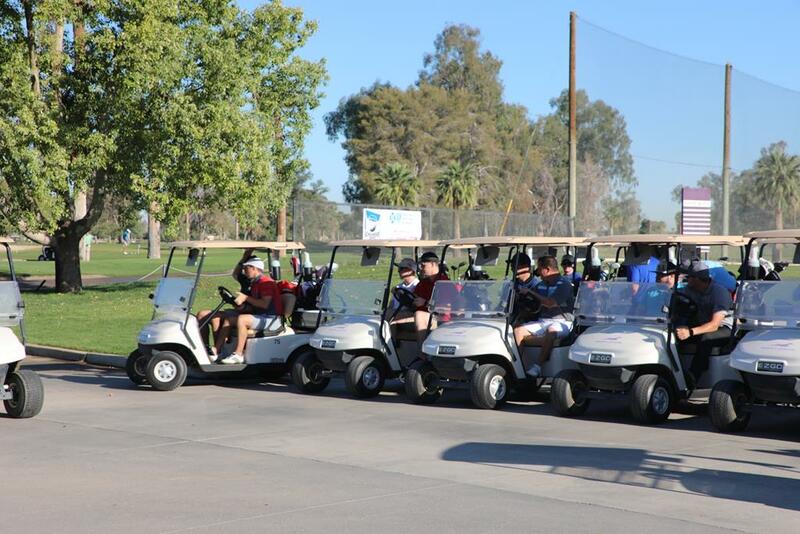 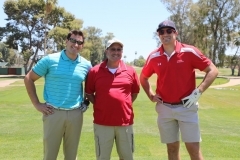 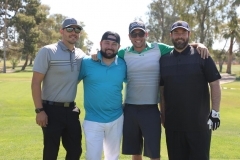 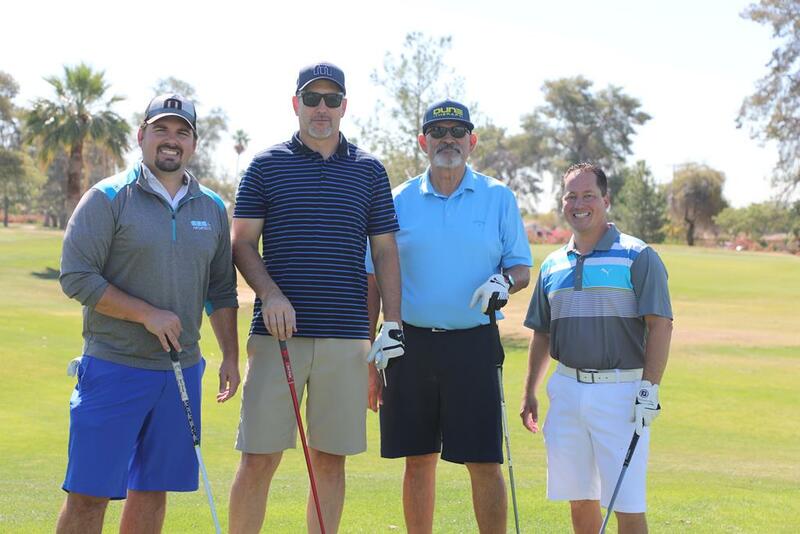 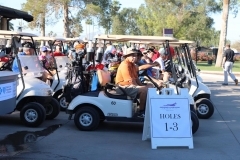 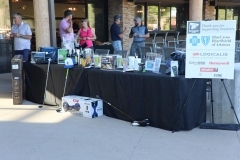 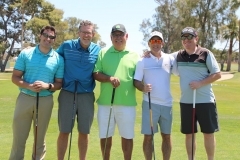 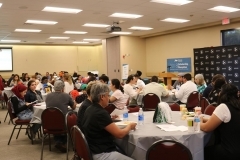 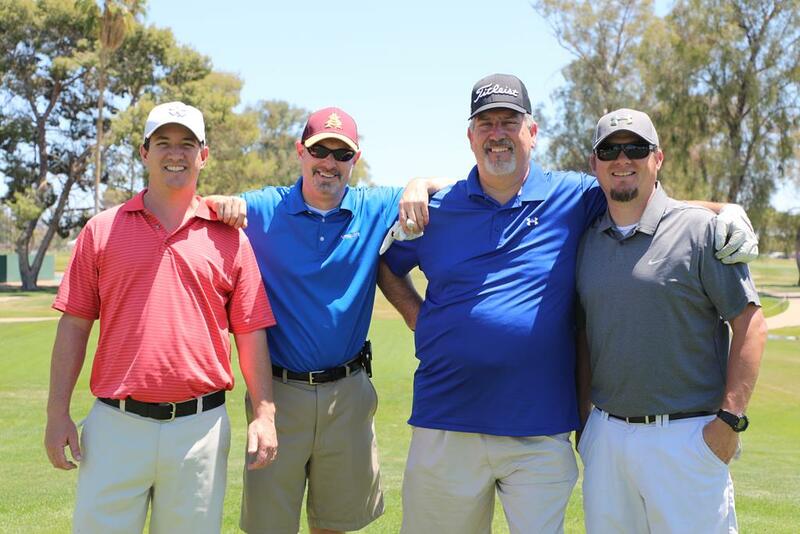 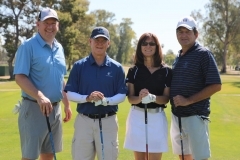 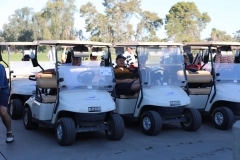 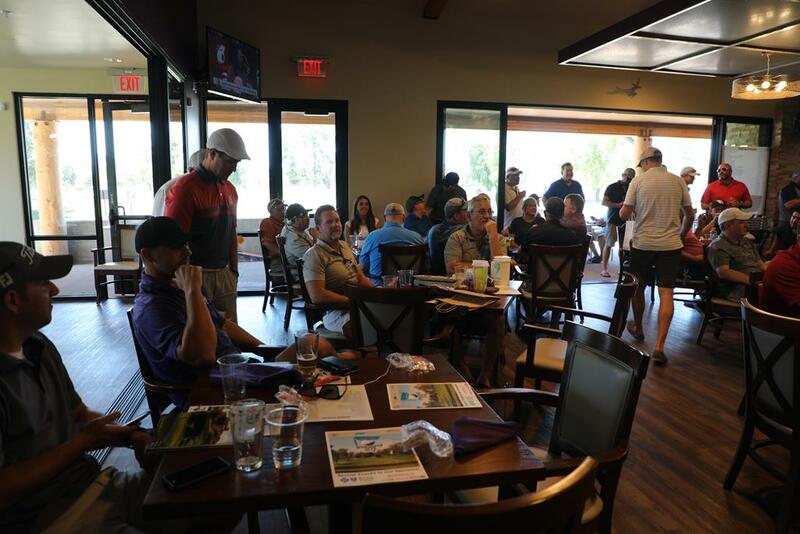 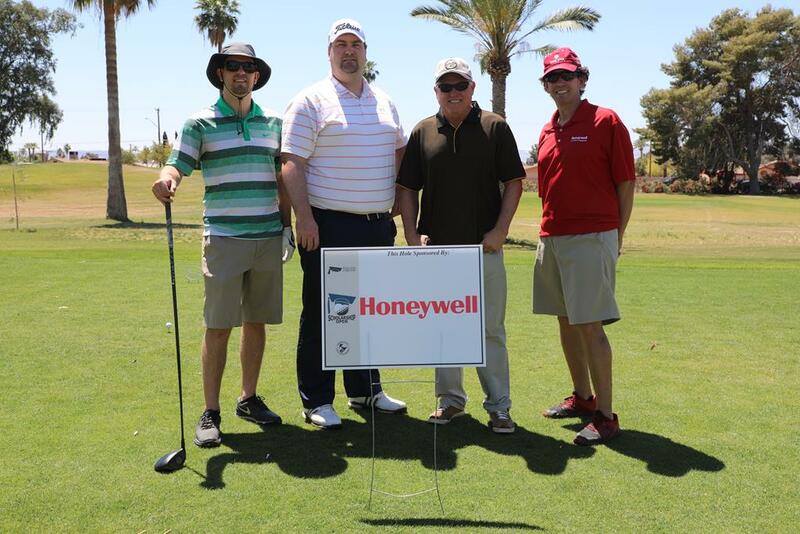 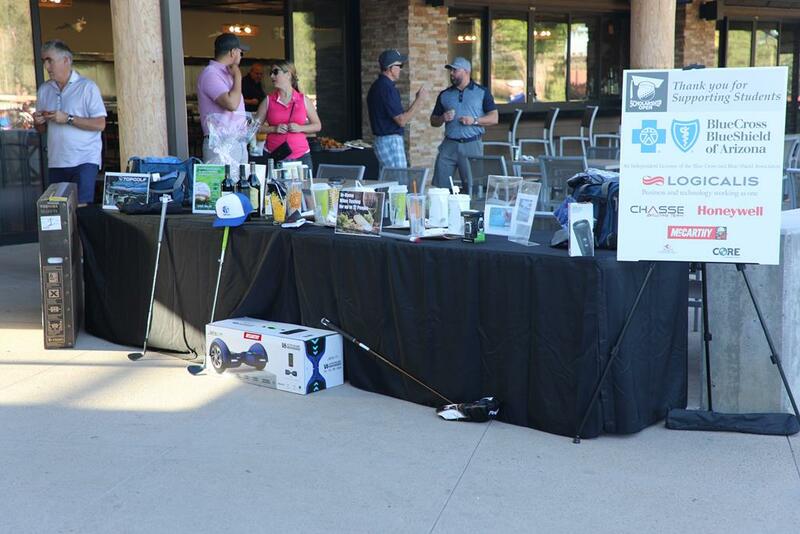 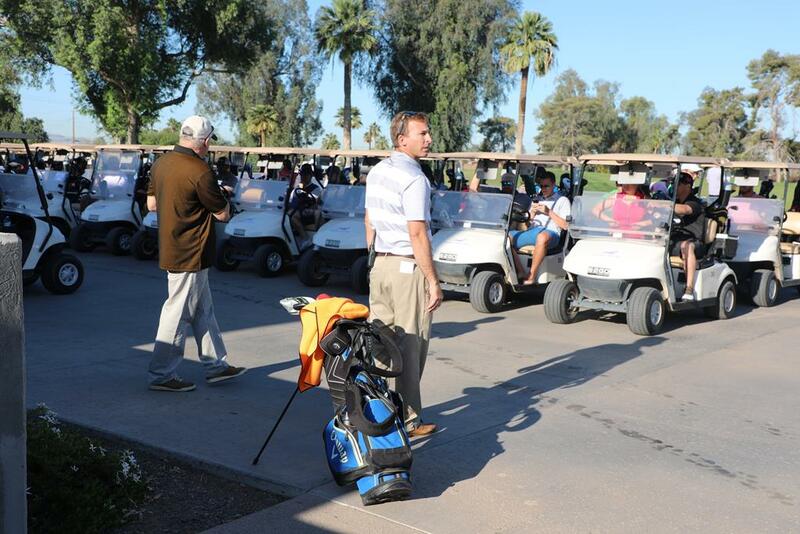 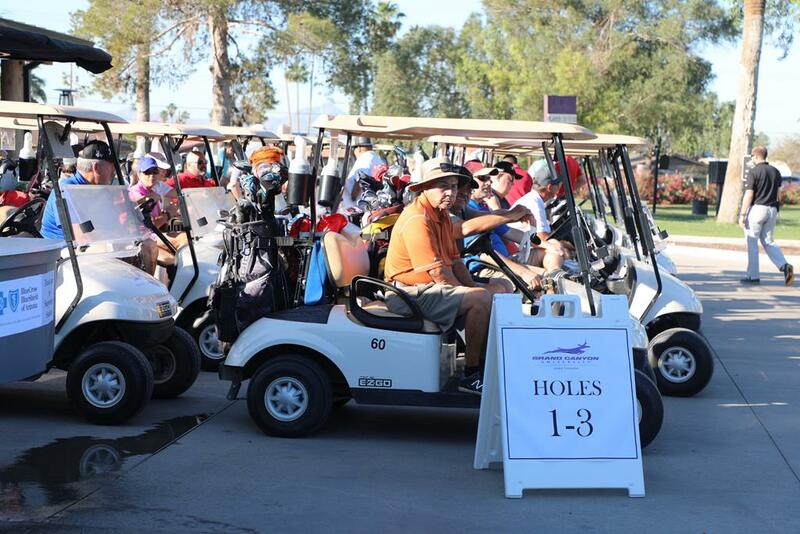 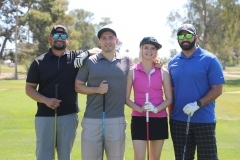 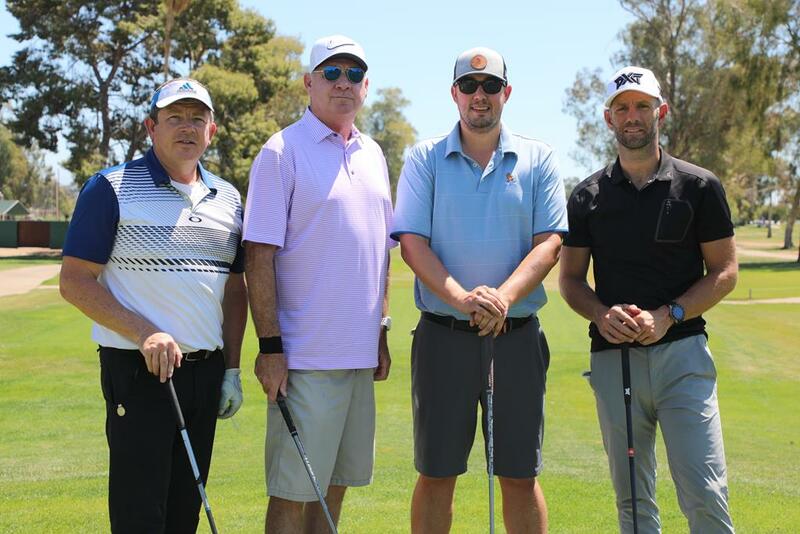 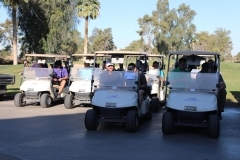 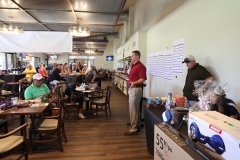 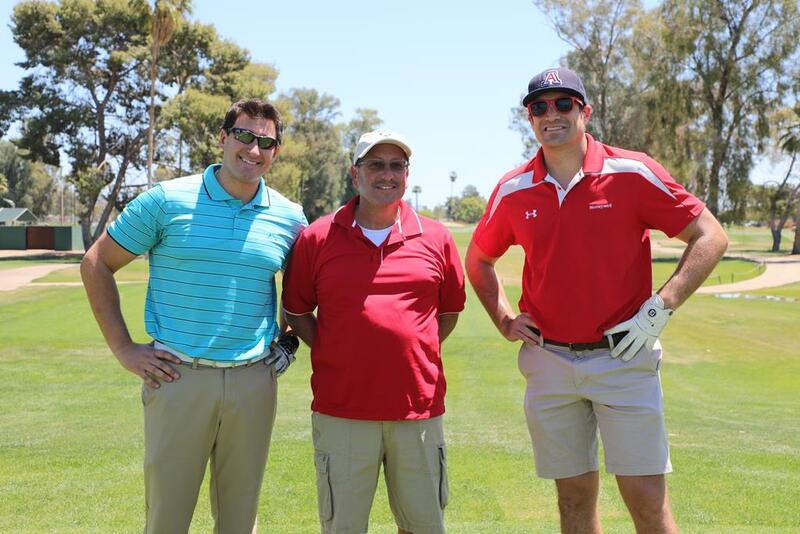 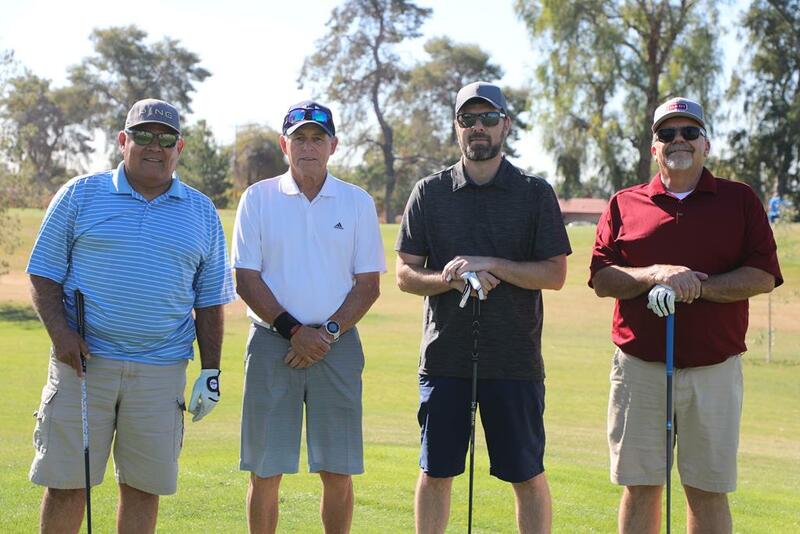 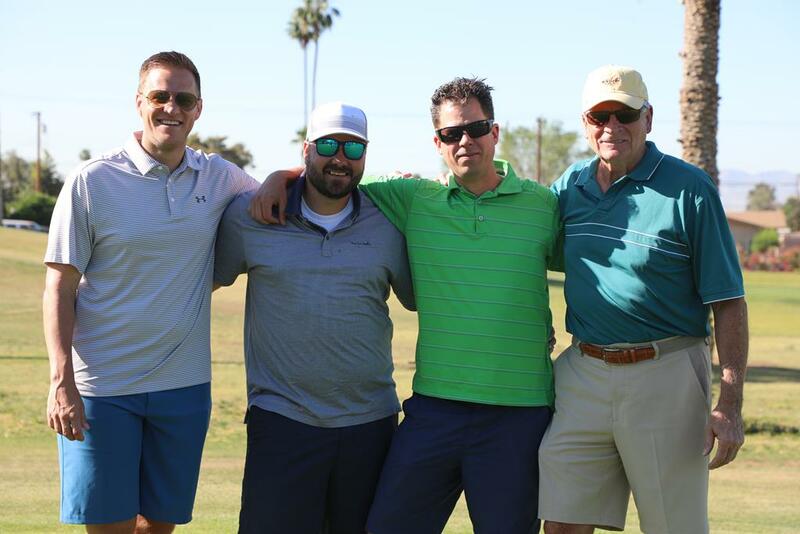 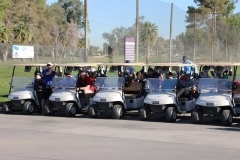 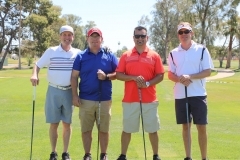 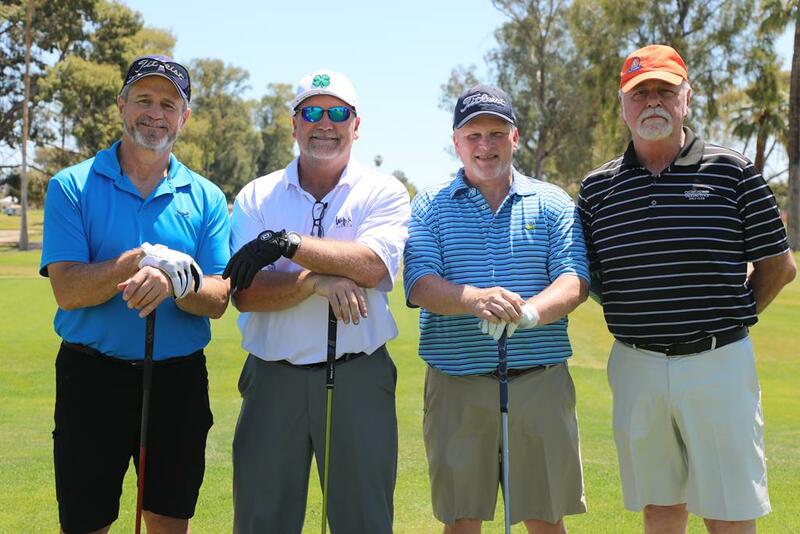 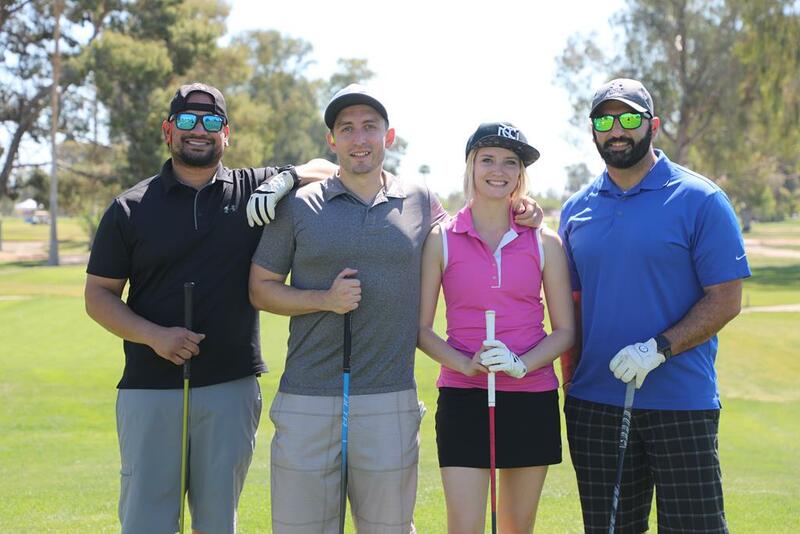 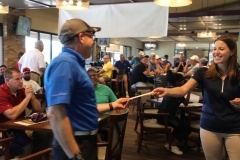 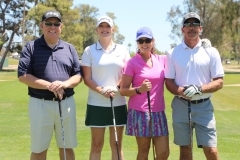 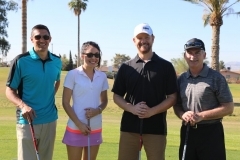 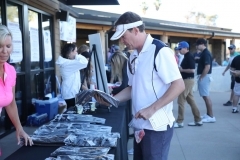 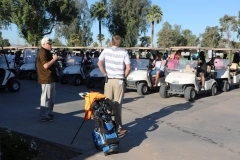 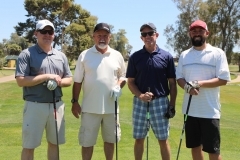 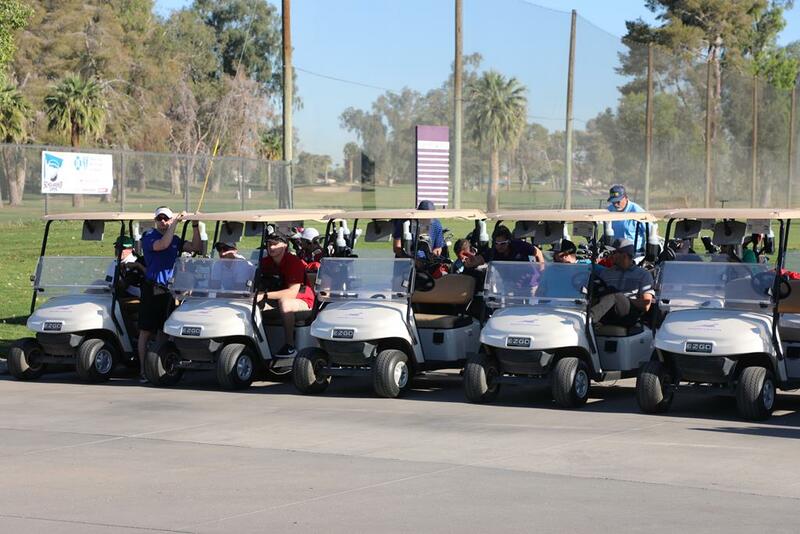 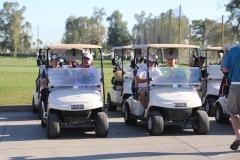 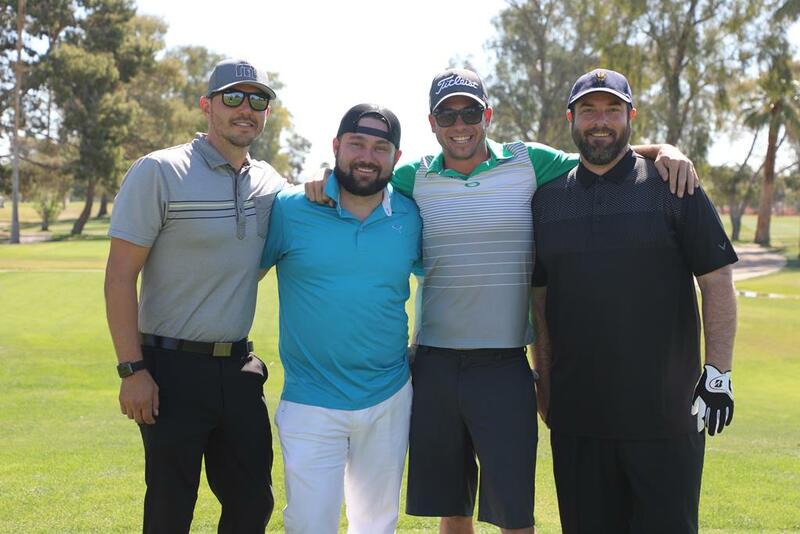 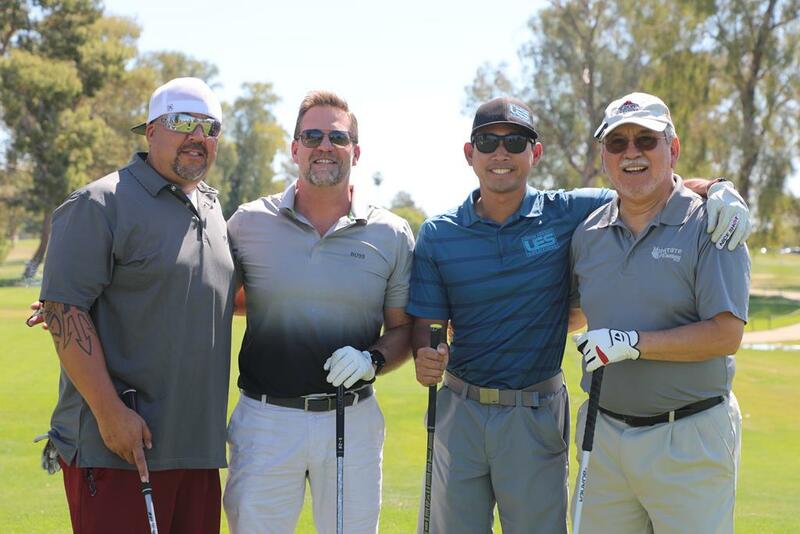 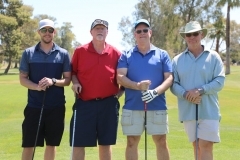 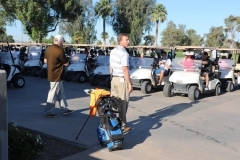 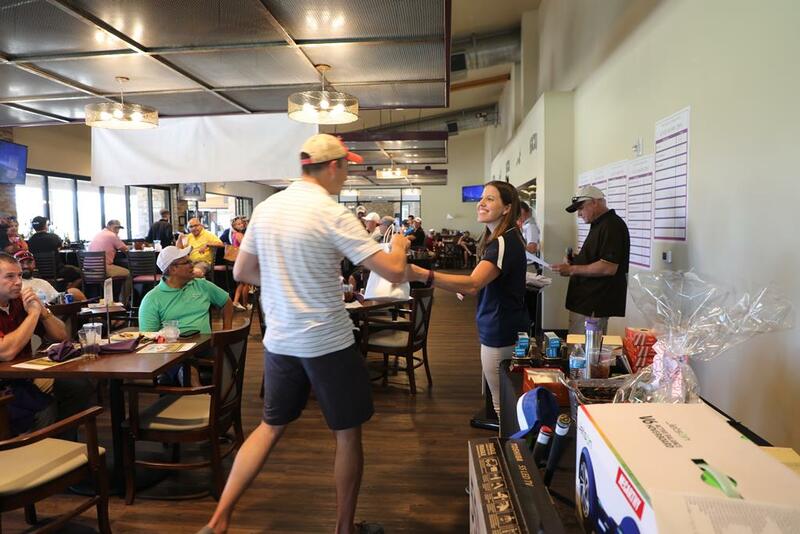 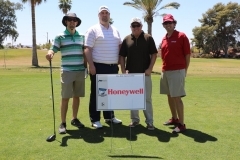 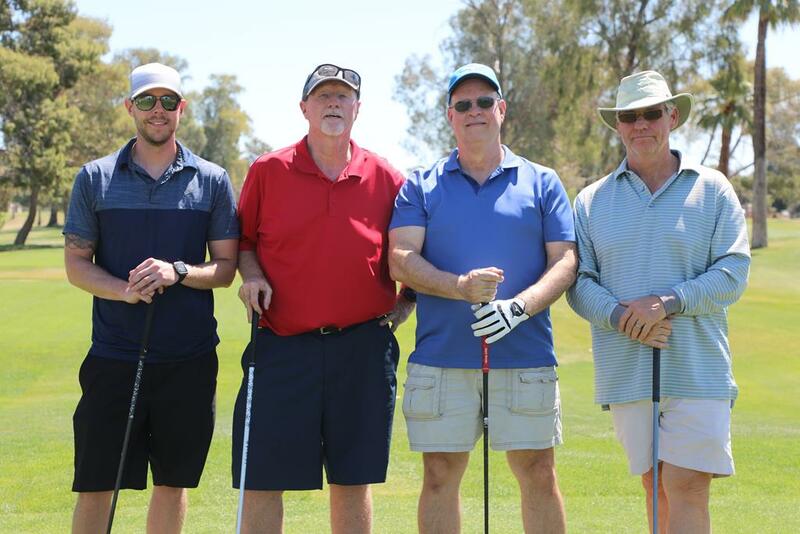 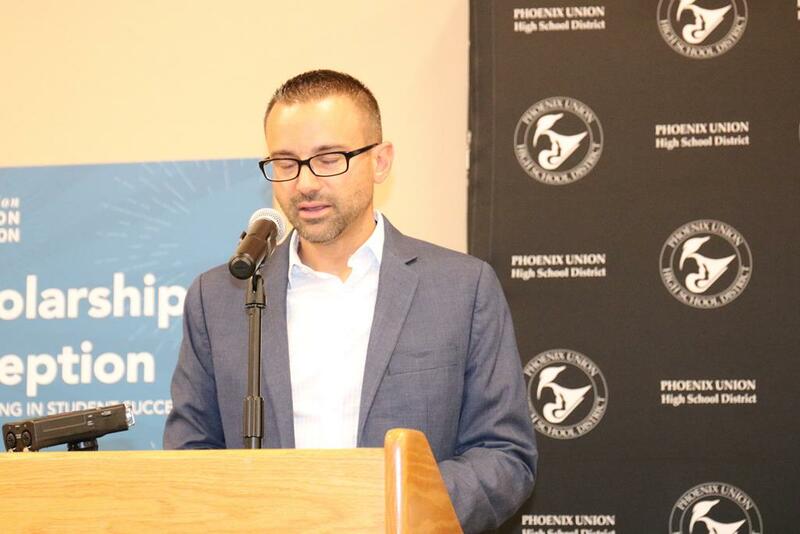 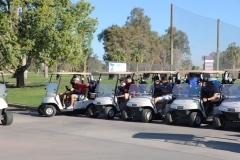 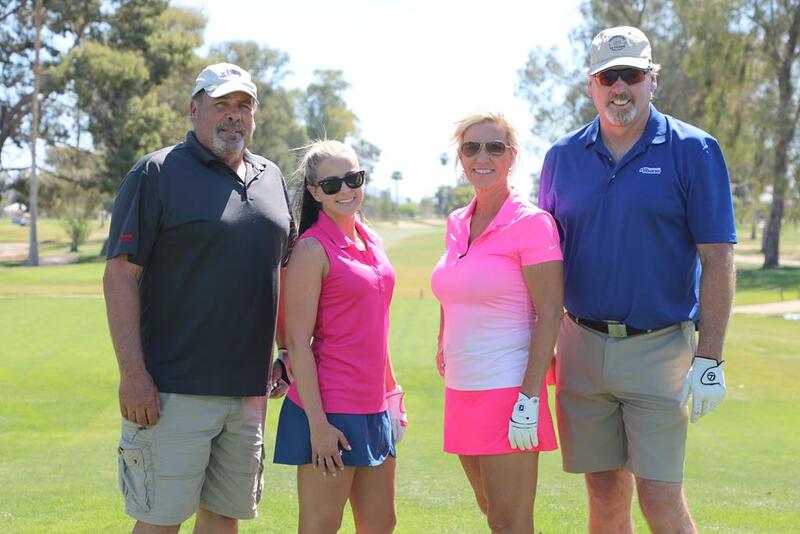 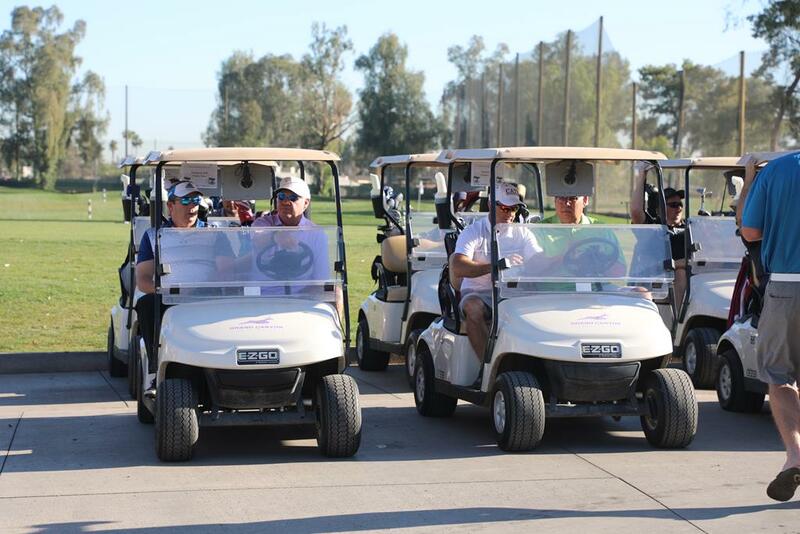 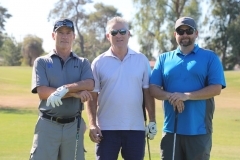 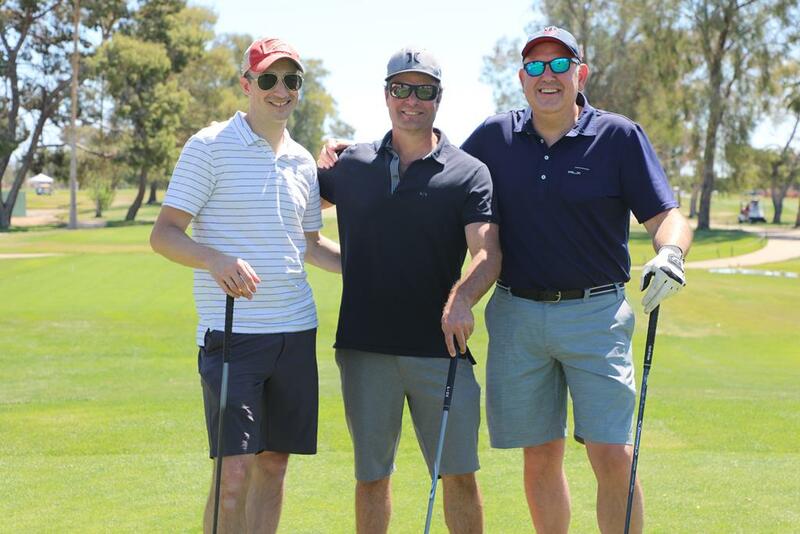 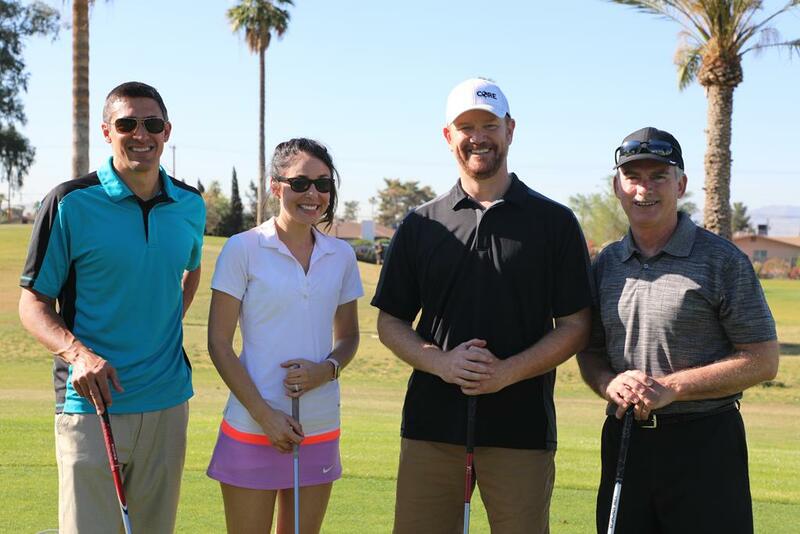 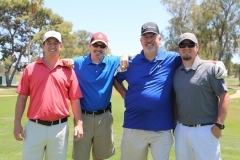 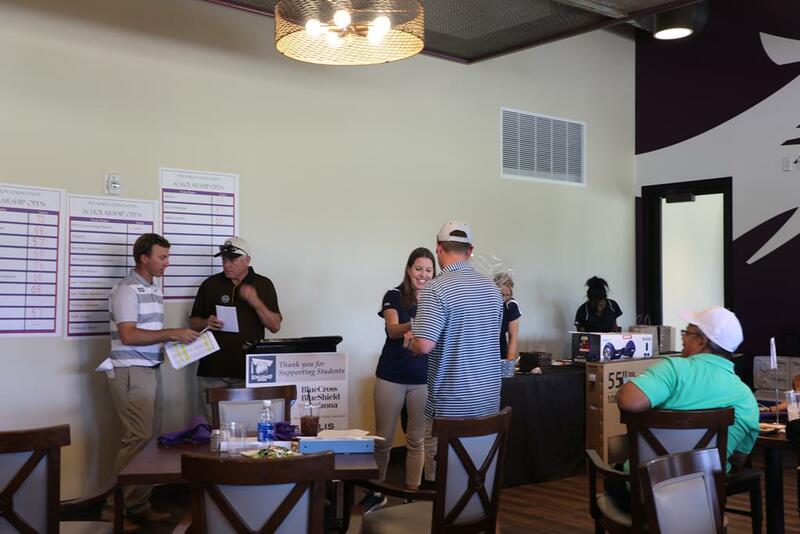 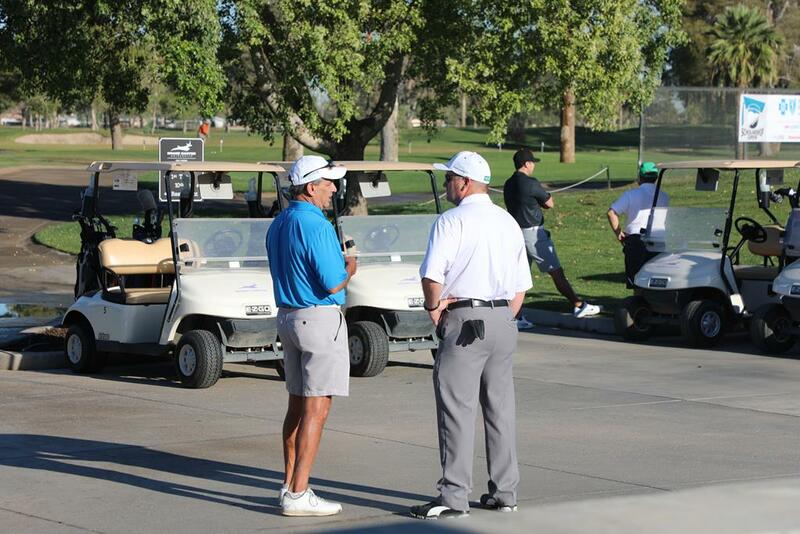 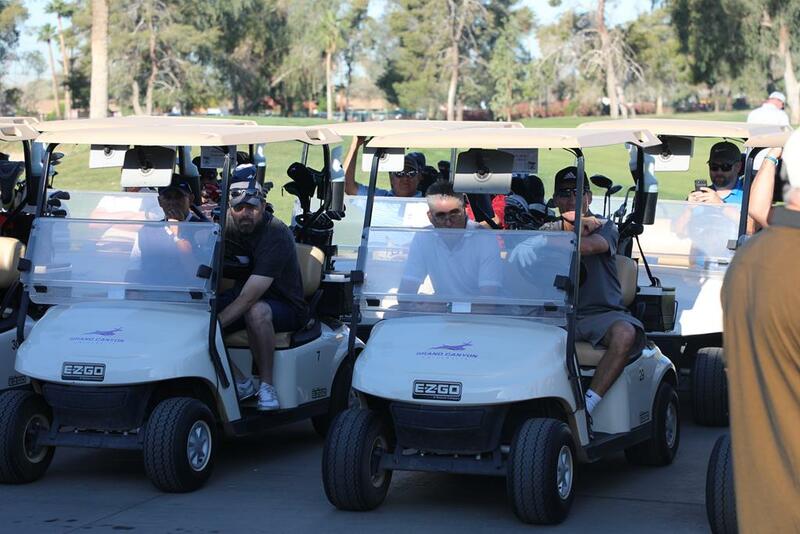 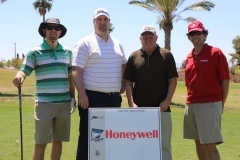 Proceeds from the 2015 Phoenix Union Scholarship Dinner and the Foundation Scholarship Open Golf Tournament generated $44,000 for four $8000 and two $6,000 renewable scholarships. 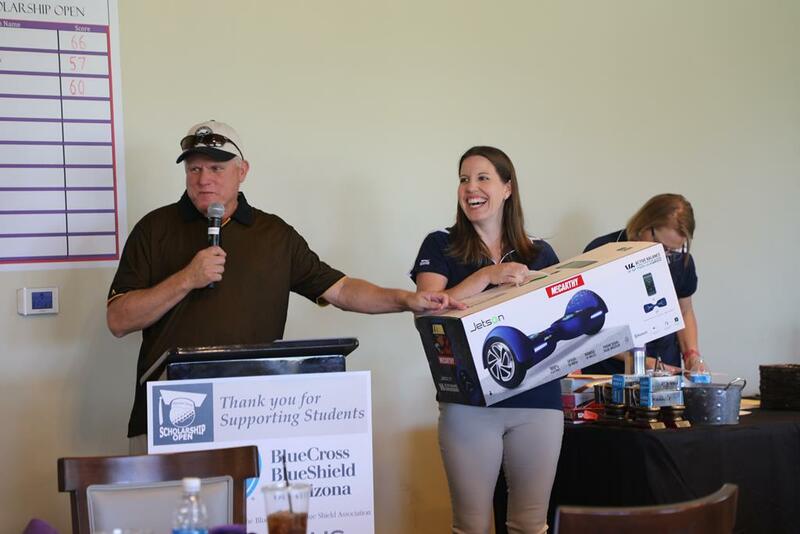 Proceeds from this year’s Scholarship Dinner in February and Golf Tournament in May will be used for next year’s scholarships. 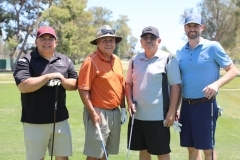 These two Foundation fundraisers are also used for building an endowment fund that is over $250,000, with a goal of $1 million. 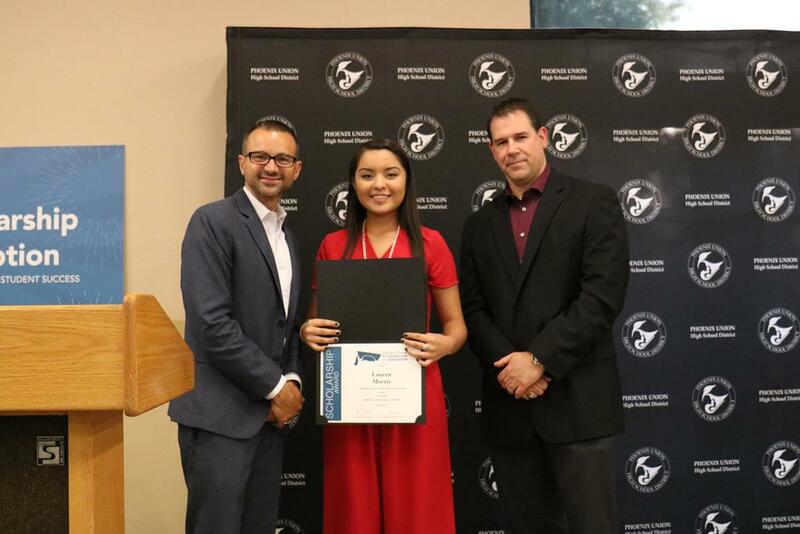 Scholarships to 12 students totaling $11,500 were supported by various community, business and PUHSD staff, family and friends to recognize loved ones, support students and give back to their community. 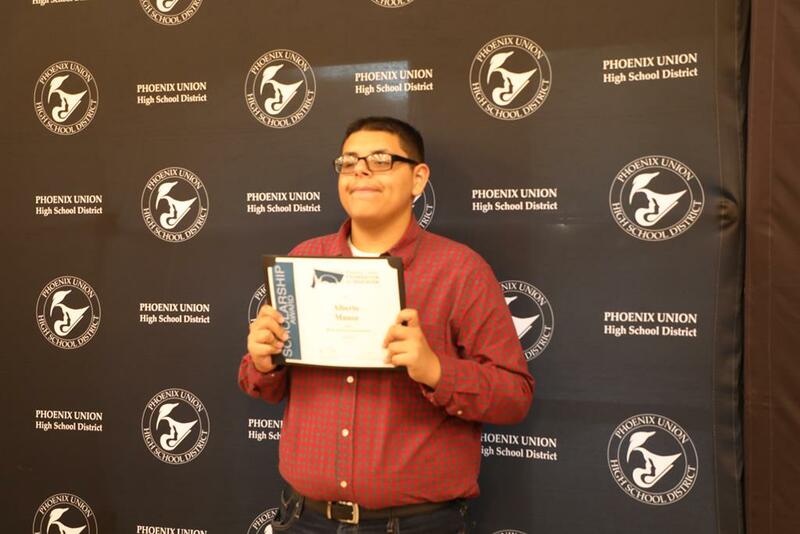 Ten students benefited from the generosity of Phoenix Union employees whose contributions were used for “Invest in the Best” Scholarships of $1,000 each. 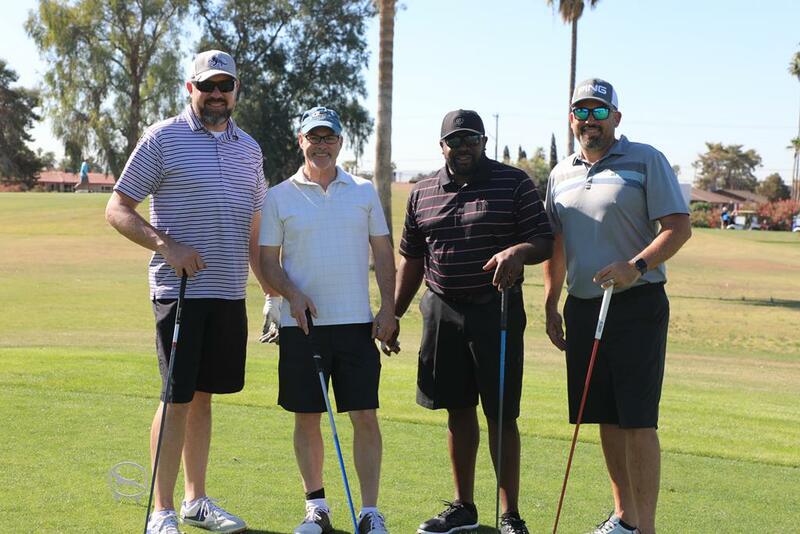 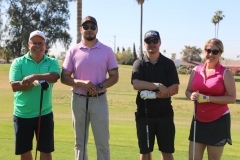 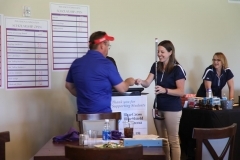 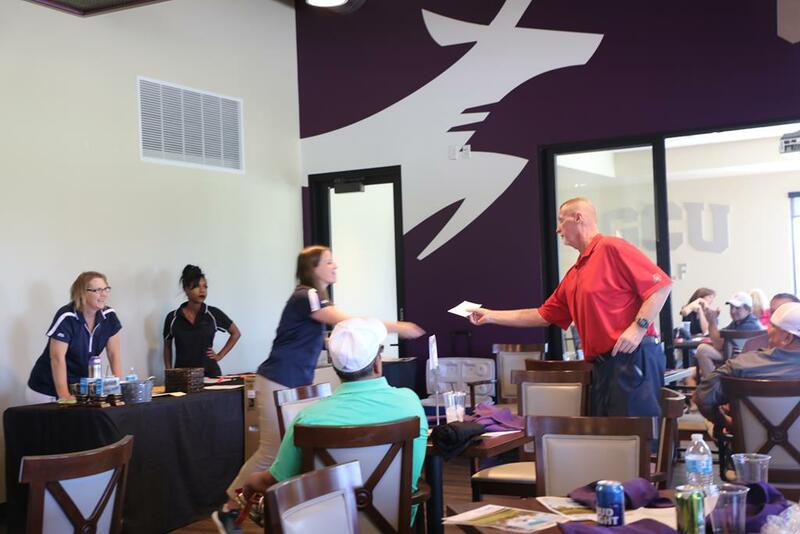 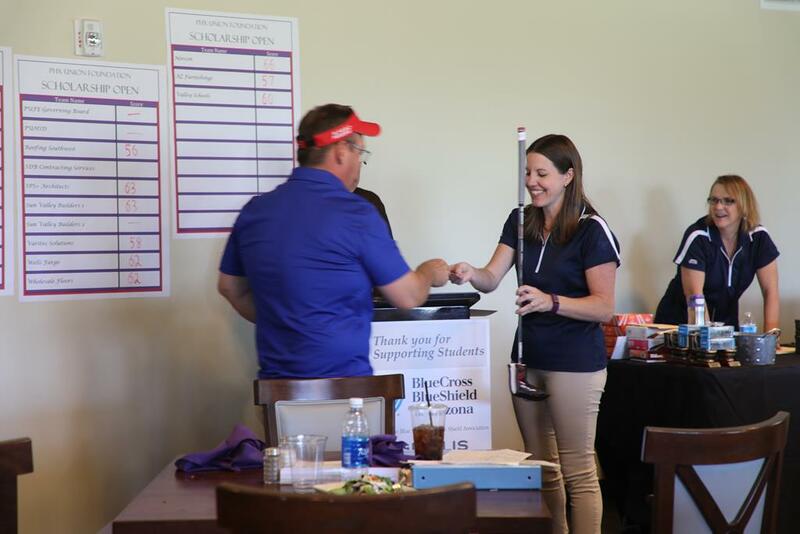 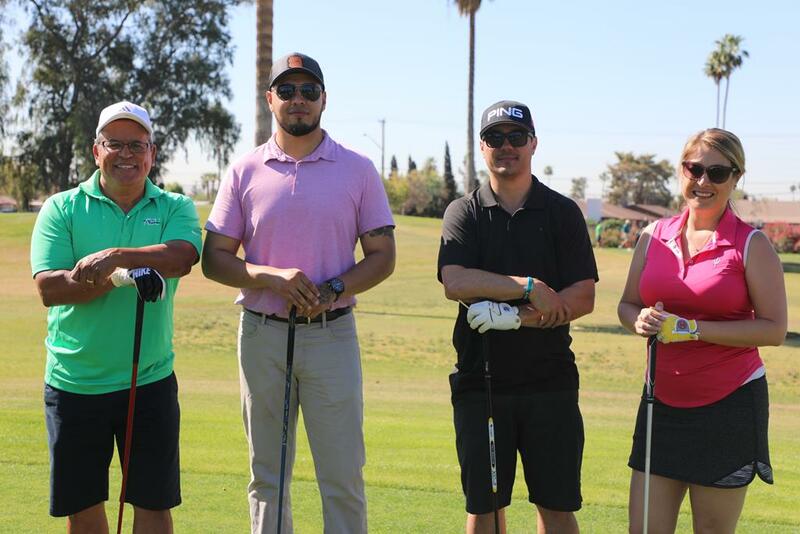 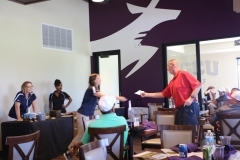 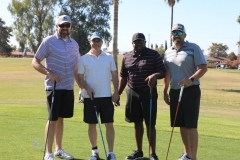 The Phoenix Union Black Alliance Scholarship awarded $2,450 to seven students, and Betty Fairfax students earned $2000 through proceeds from its golf tournament. 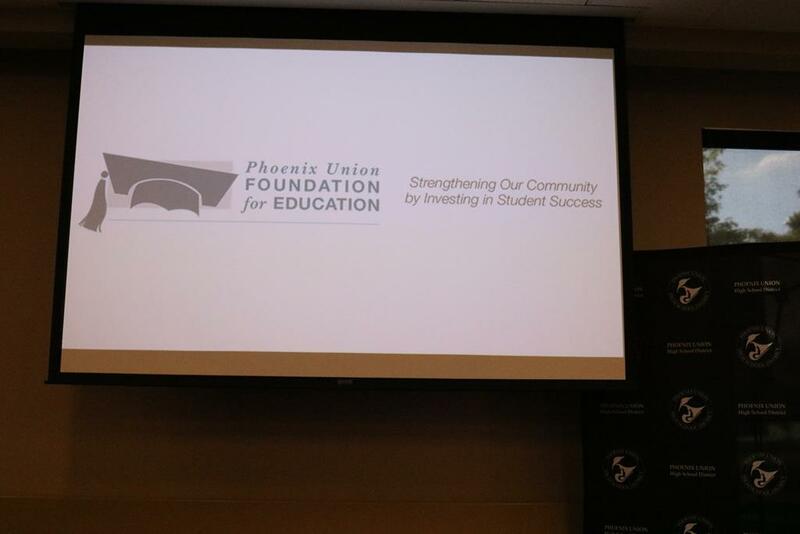 The Phoenix Union Foundation for Education has provided over $870,000 in scholarships in the past 25 years. Scholarship applications are distributed to all District employees and due in April. 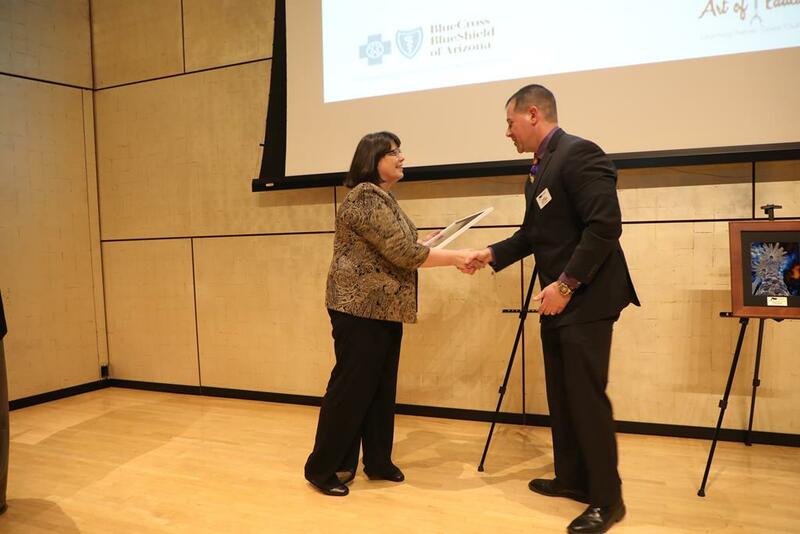 Volunteer business, community and education members read and score the applications to award in May. 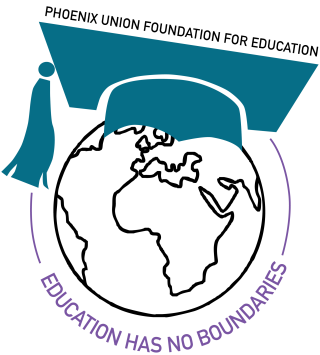 Individuals or businesses interested in volunteering or making a scholarship donation can visit www.foundation4education.org.